For me, to reach a live like sound it means i need great dynamics, high sensitivity and big radiation area. 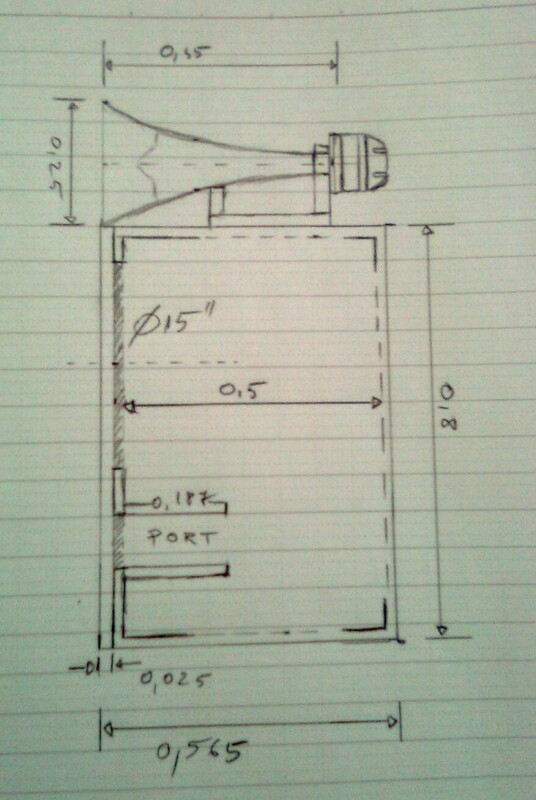 Many of my projects start with these aspects in mind and it is clear now that all these are related to efficiency. 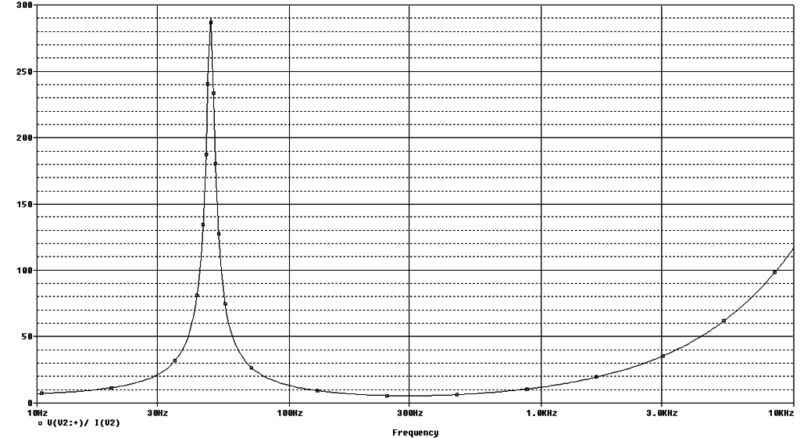 Efficiency is a power ratio and in acoustics it is acoustic power delivered vs electric power consumed. 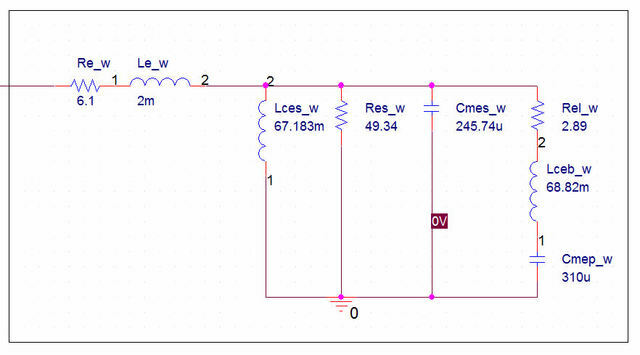 There is some debate on how important this parameter is (many manufacturers don’t even publish it), because most audio amplifiers are designed as voltage sources and not power sources. Since impedance of a loudspeaker varies with frequency we can say that the power drawn from the amplifier will vary with frequency. 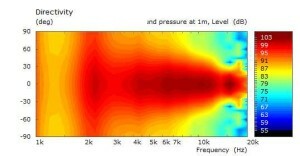 In the below simulation you can see this variation. 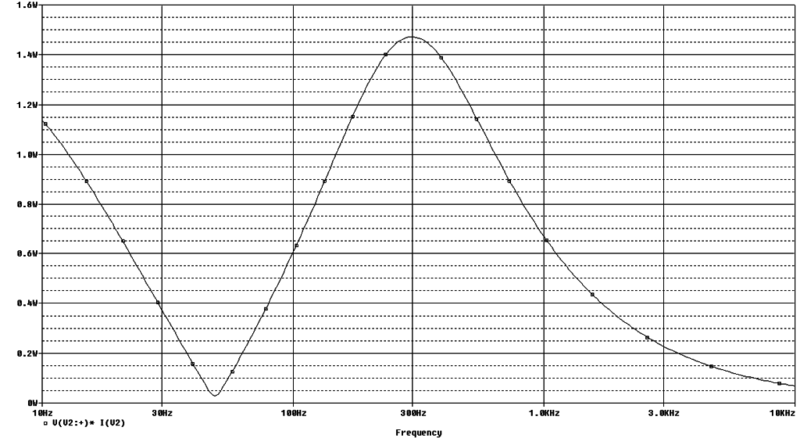 You can easily see how power drawn in the low frequencies drops pretty much this causes sensitivity to drop but not because of low efficiency in the low register but because of how amplifiers are made. 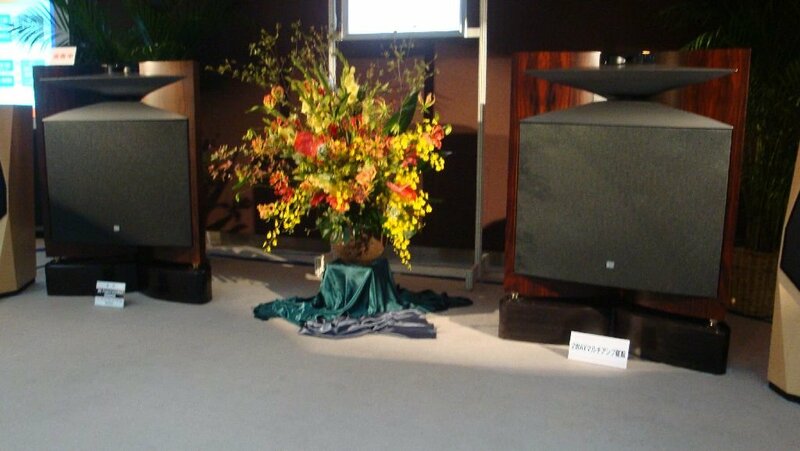 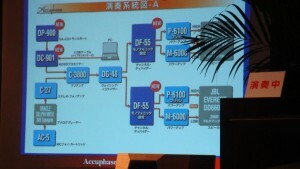 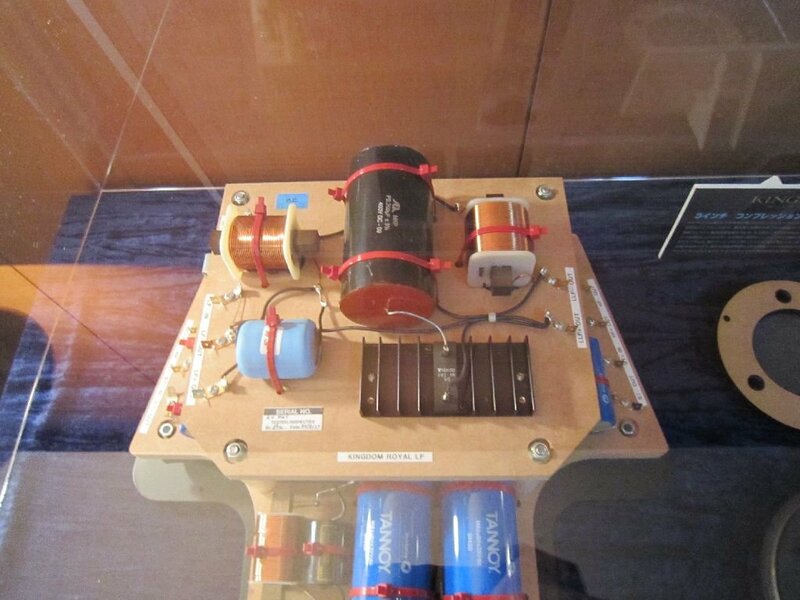 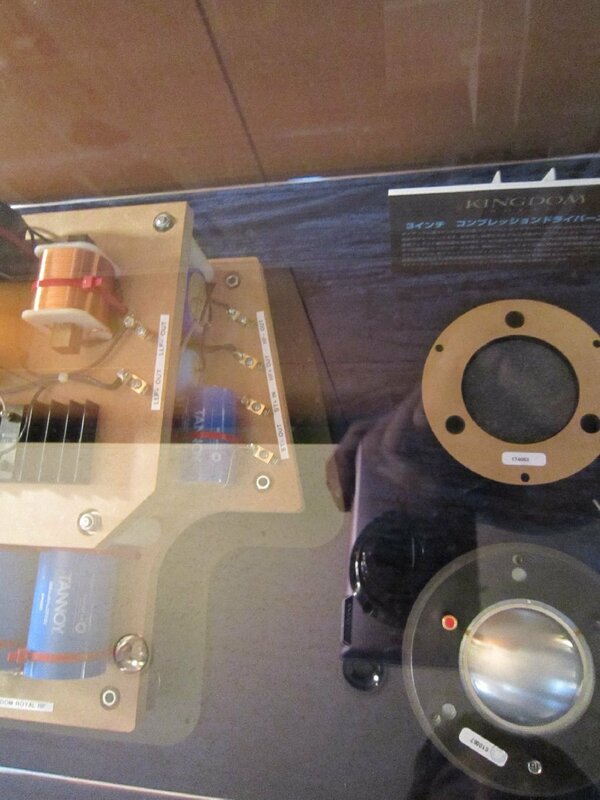 A very important aspect i found to be true is to use high power amplifiers with high efficiency loudspeakers. 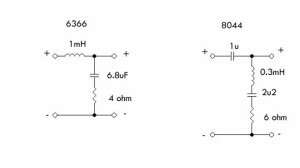 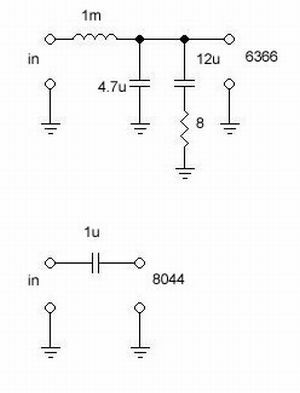 These amplifiers will most likely have their output stages powered by high voltage and this allows for high voltage swings necessary when driving the high impedance at high levels. 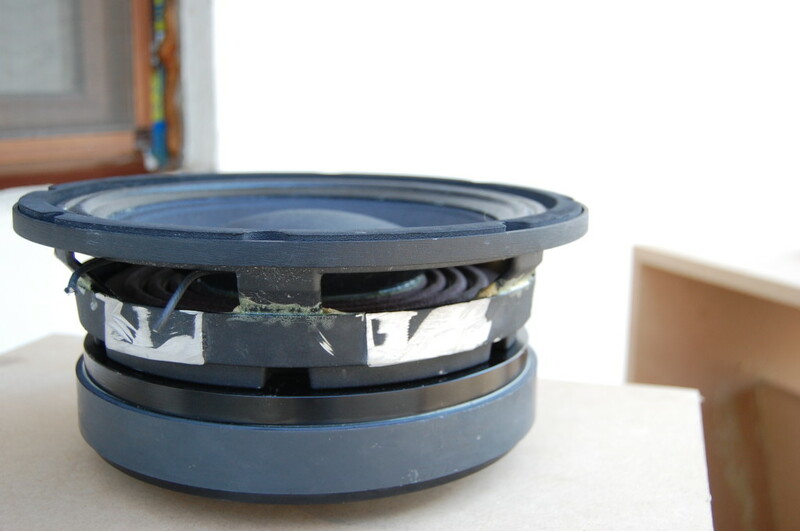 Horns are by far the most efficient sound reproduction systems but since they are passive components they get very large at low frequencies. 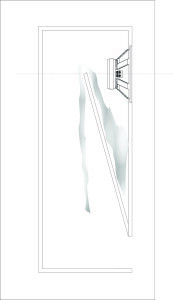 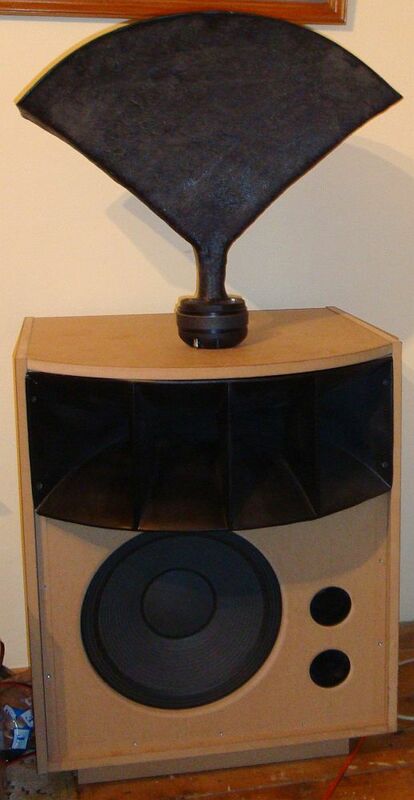 Because of size and complexity a large number of systems were designed using a direct radiator for low frequencies and horn loading for medium and high frequencies. 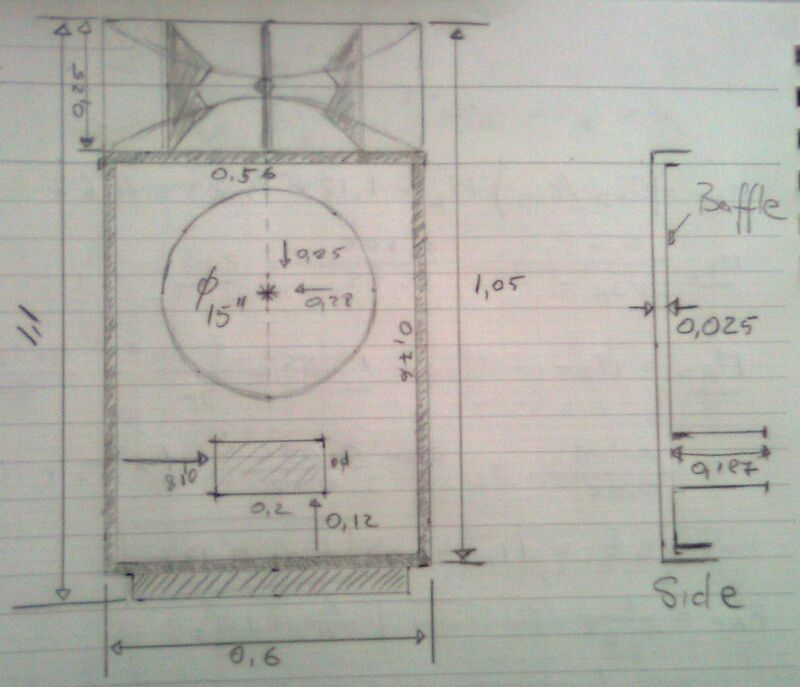 But can a direct radiator reach a good enough efficiency? 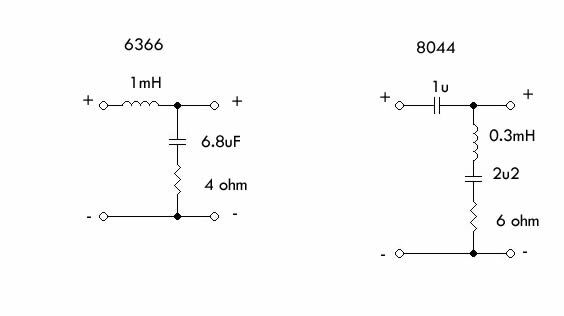 It really depends on its components. 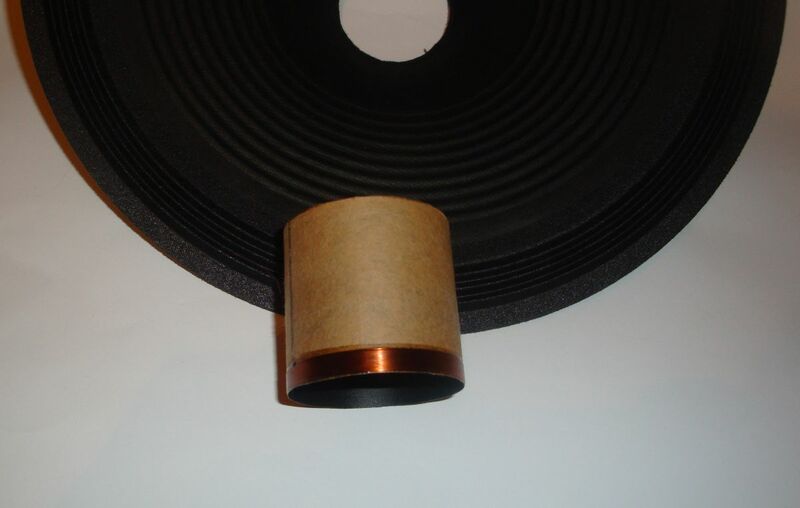 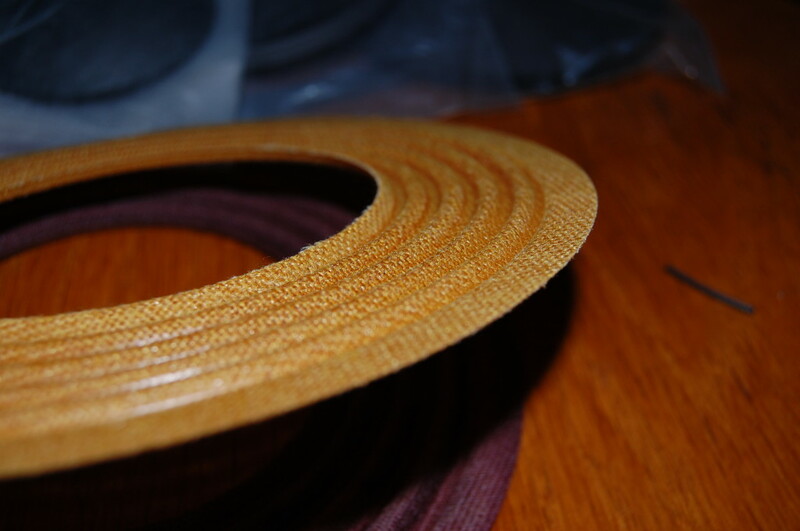 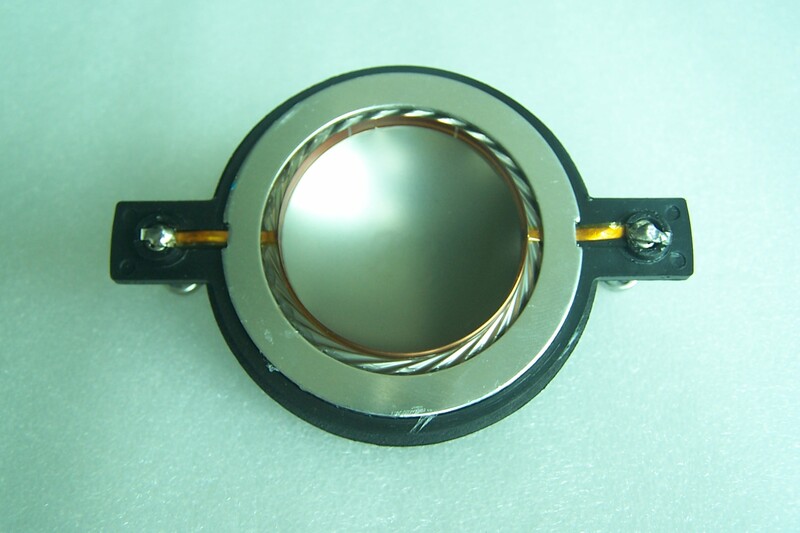 For high efficiency you will need a big motor (strong magnetic flux), you will need a light moving assembly (light cones and voice coil) and you will need a big radiating area (large cone diameter). 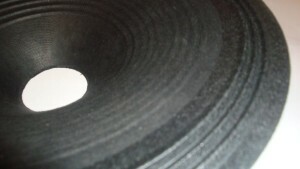 It is my belief that for good bass from direct radiators one needs at least a 12 inch cone. For domestic use i like the 15 inch cone and there are many great drivers at this diameter that have proven their worth over the years. 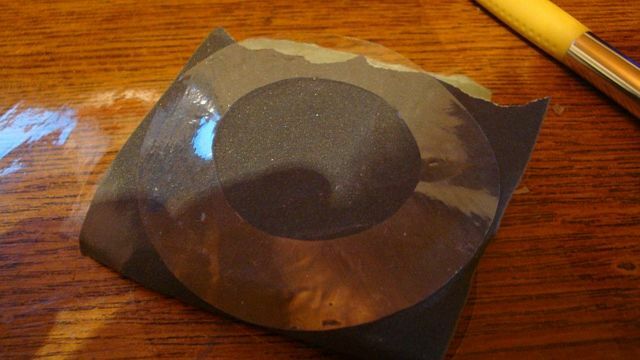 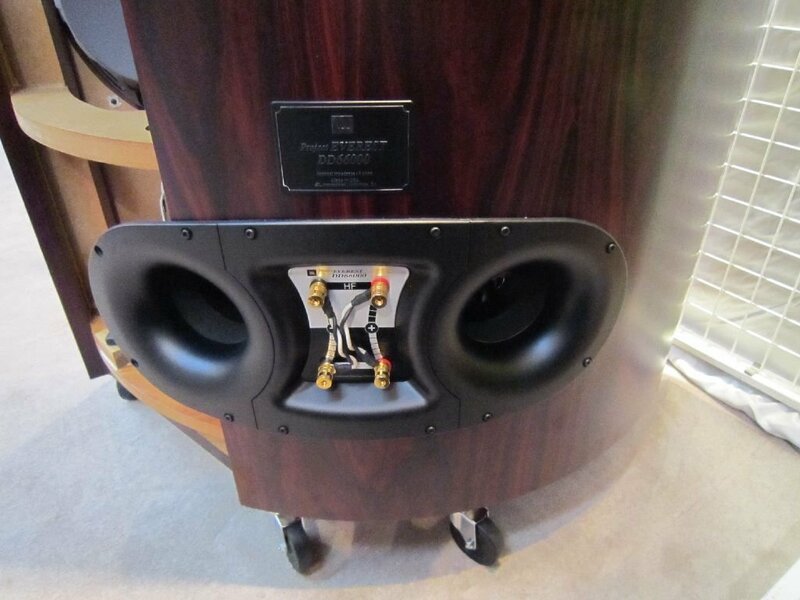 At these diameters most drivers one can find come from the professional audio sector. 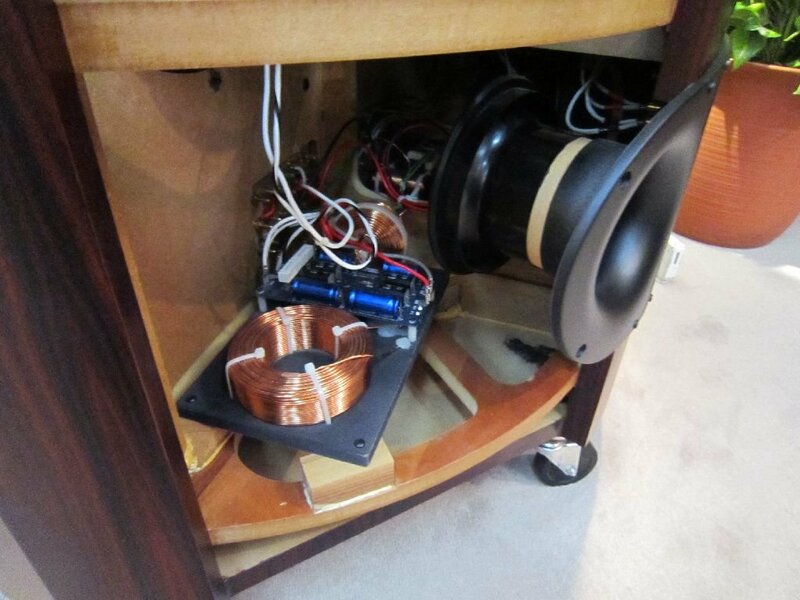 There are many very good designs on the market, it can be hard to find something that can totally please me but given the fact that i like to modify the drivers a new project begun. First thoughts were to make a standard 2 way system using the 500Hz sectoral horns i had in stock. 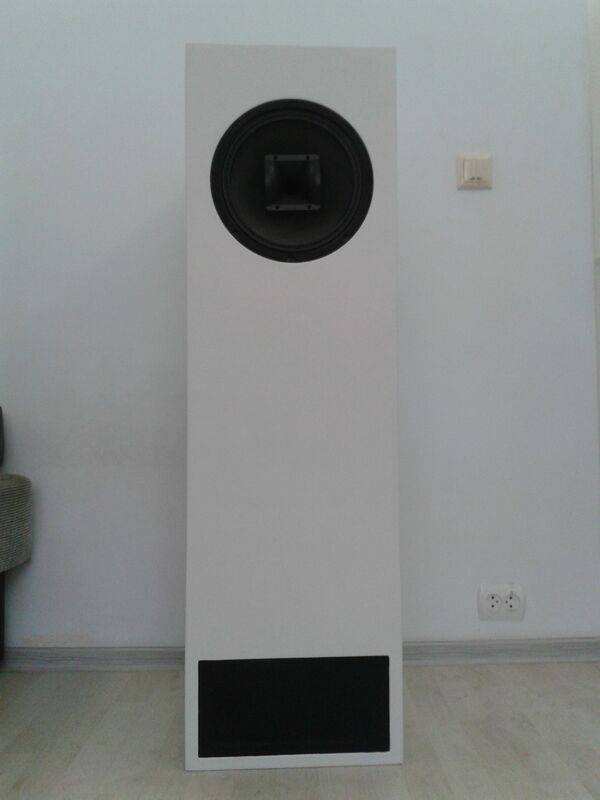 For this purpose i build a couple of test boxes but first i will introduce the drivers. First 15 incher was 6523C having a 3 inch voice coil and while the motor provided a good flux density in the gap, the thickness of the top plate was about 10mm. 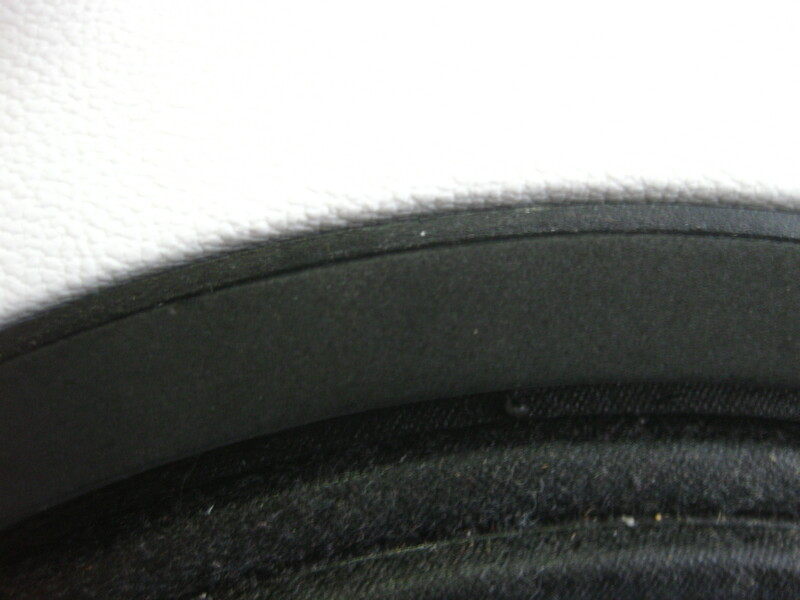 Not the thinnest but the greatest either. 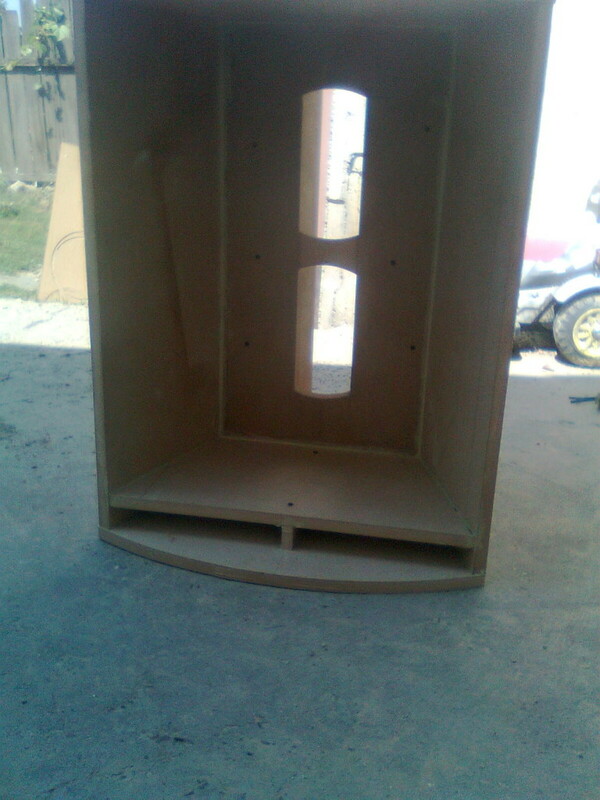 The structure is very simple with straight poles and no faraday rings. 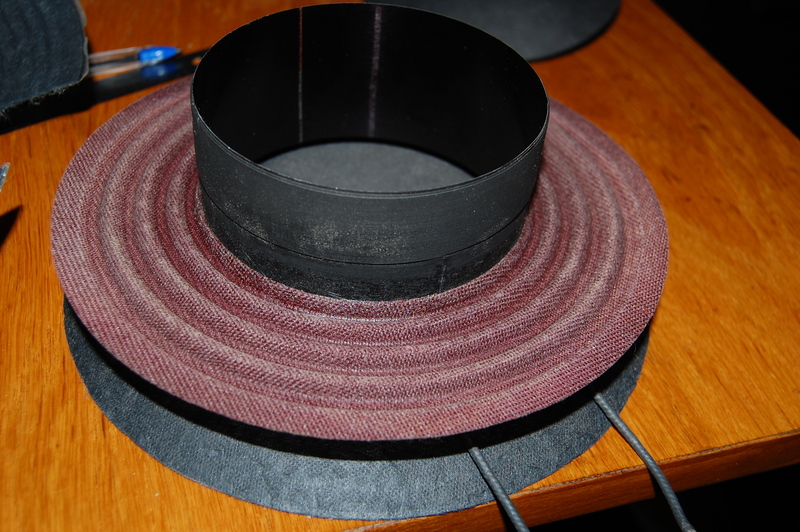 On the mechanical side again it revealed this was not a woofer for this project for the filter needed alot of optimization to make it work good with a xover point around 1kHz. 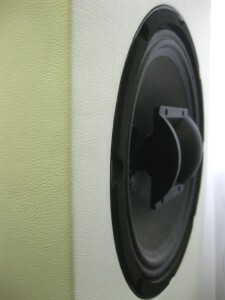 The second 15 incher is based on the 8512F which i modified in various ways. Originally this woofer is designed compact bandpass pro applications, the suspension system is pretty stiff and it needs alot of power to get it moving. 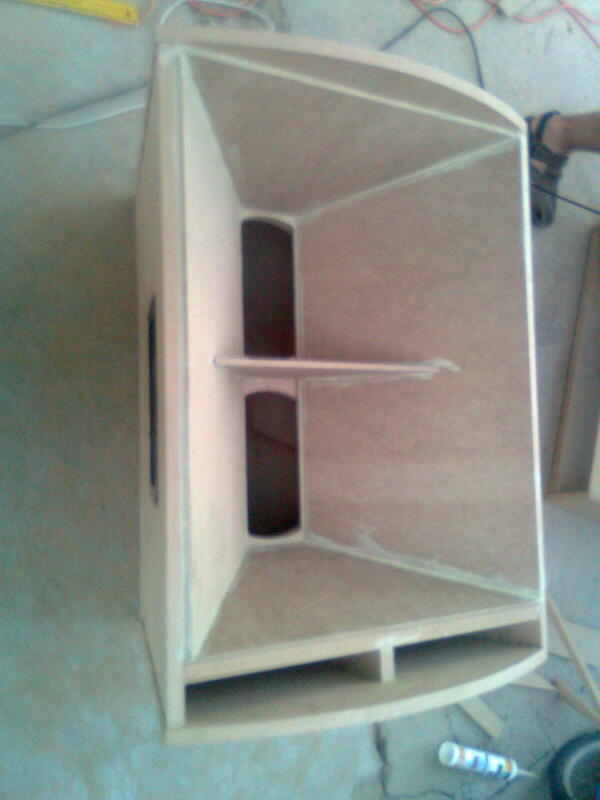 So first i changed its spider and outer suspension. 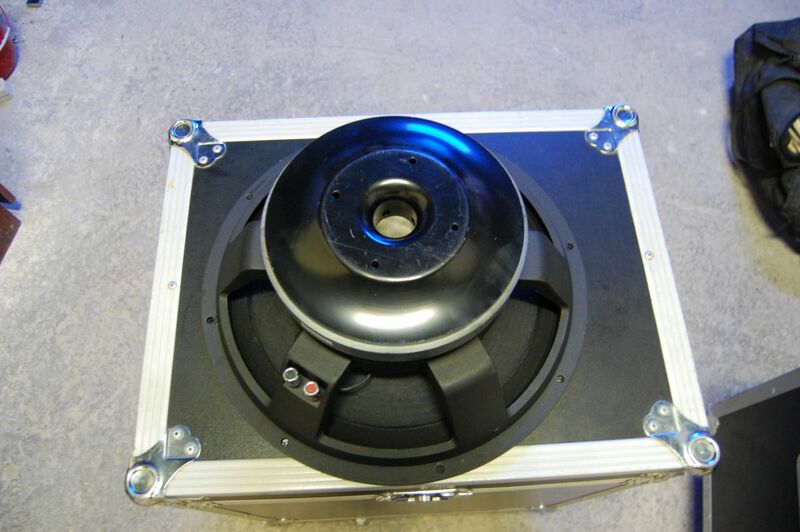 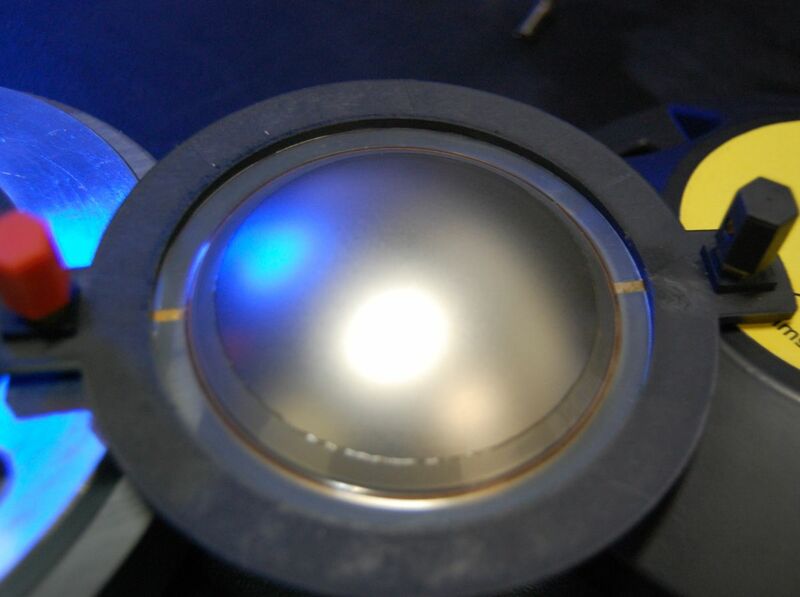 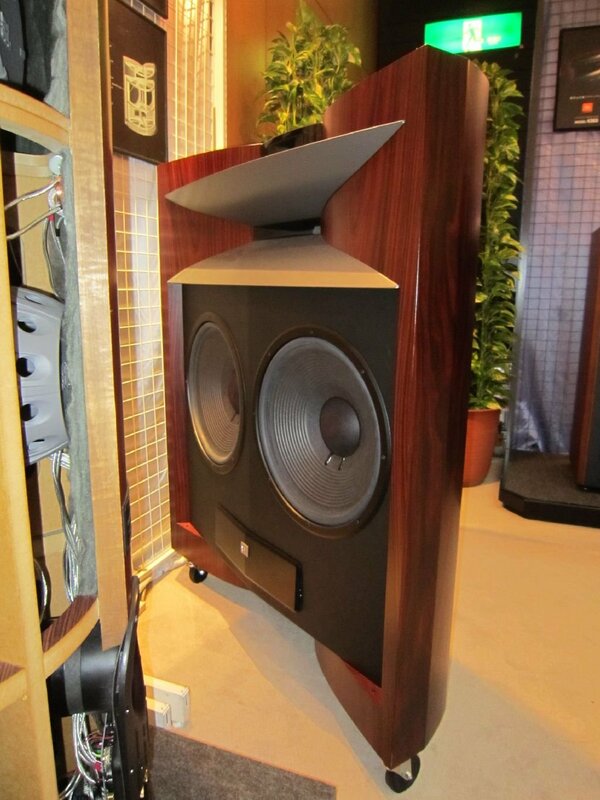 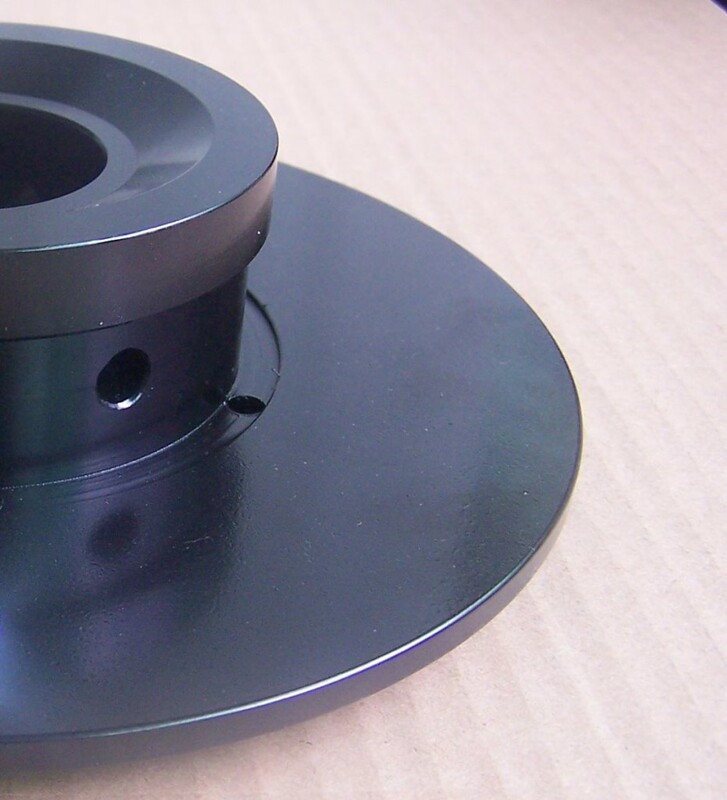 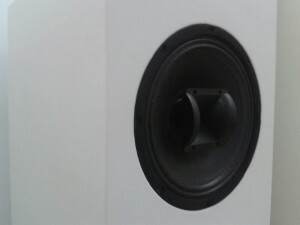 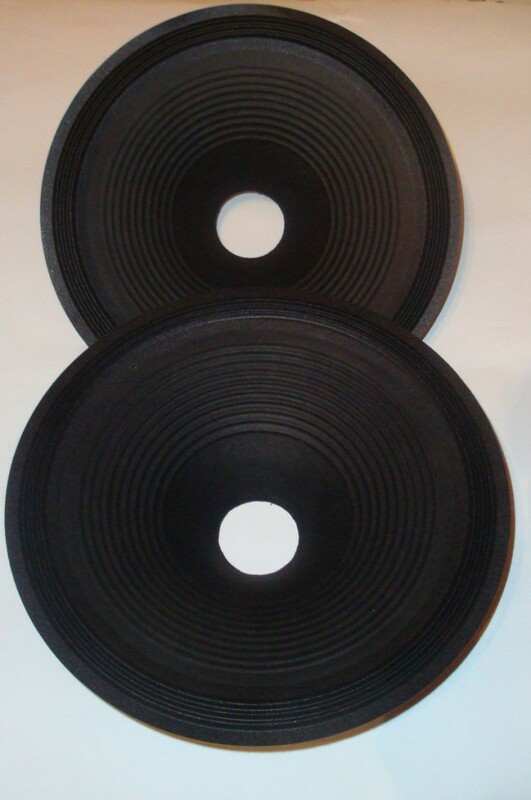 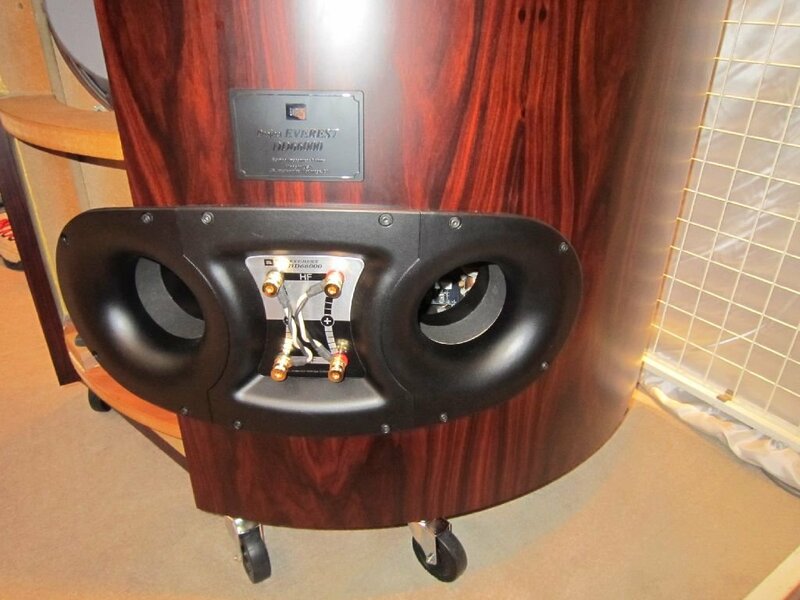 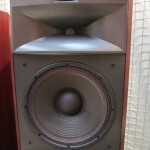 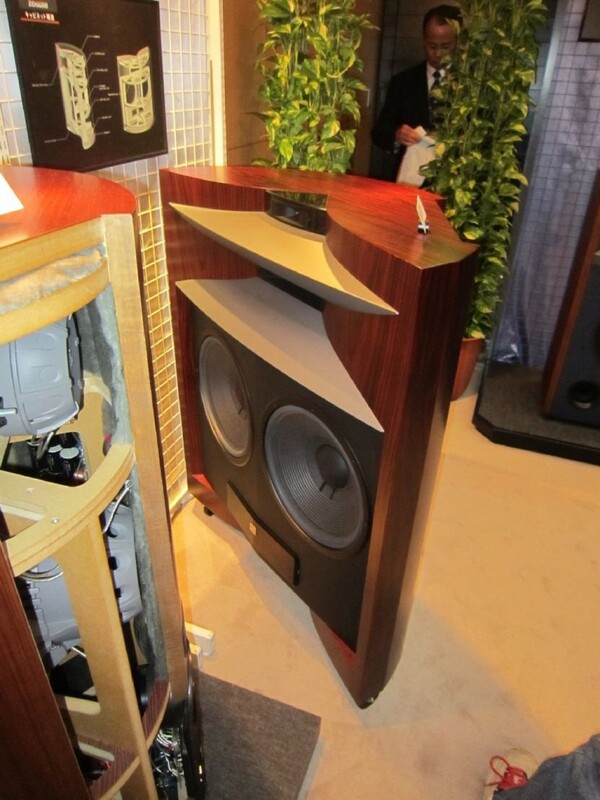 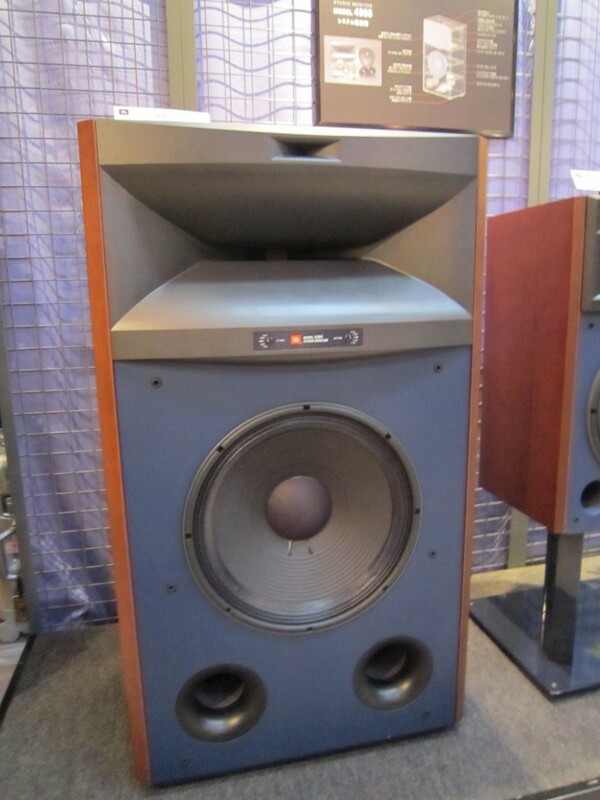 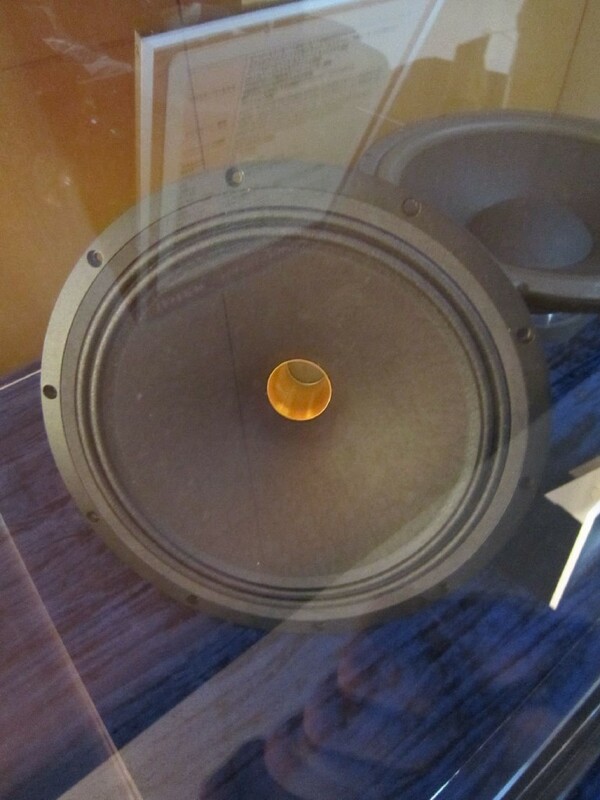 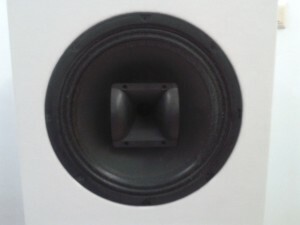 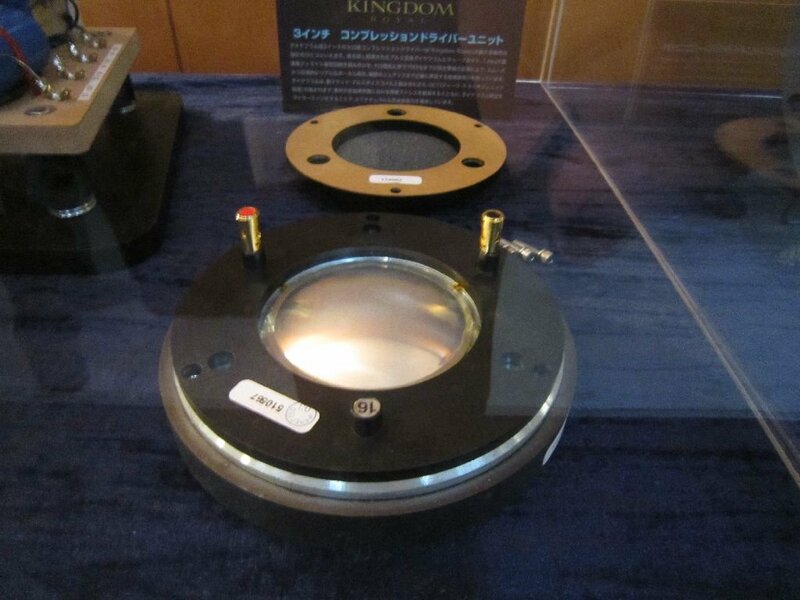 The unit has a tremendous motor designed to match JBL 2226H with a 220mm ceramic magnet ring and 12mm thick top plate. 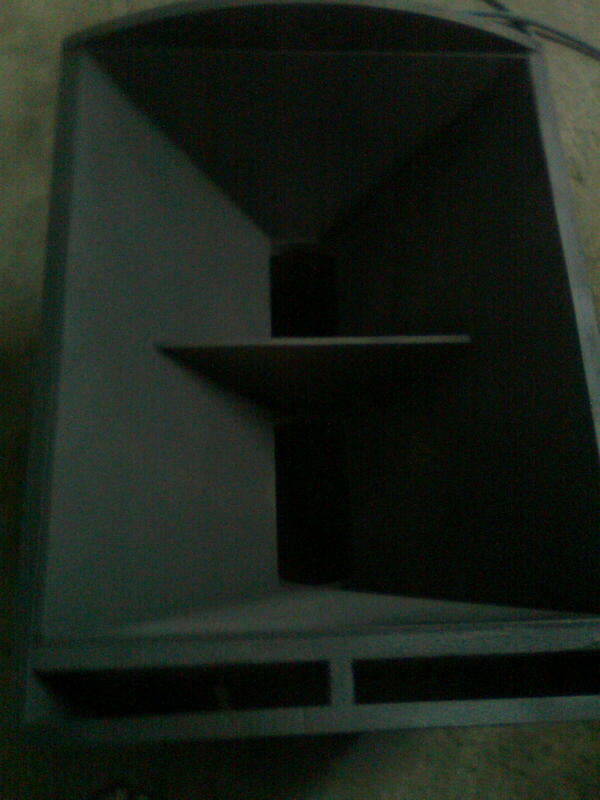 A 4 inch voice coil, a T shaped pole piece makes this 15 incher a real beast. 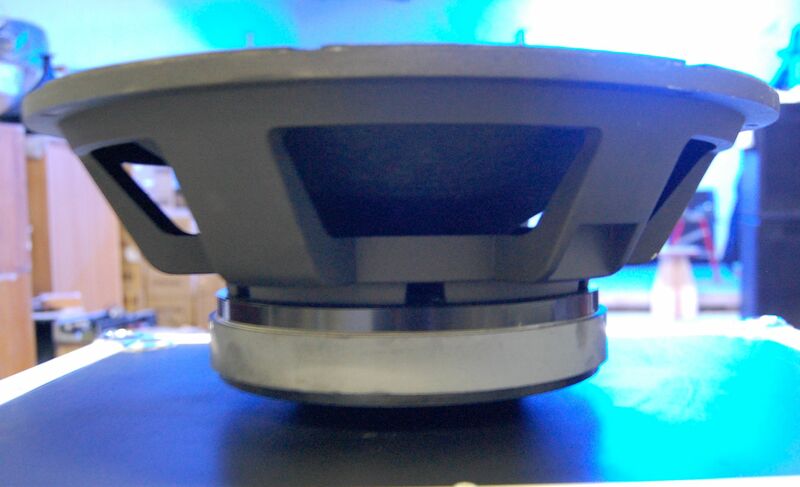 The first compression driver tested was a 1″ exit with Ti diaphragm and Ti suspension. 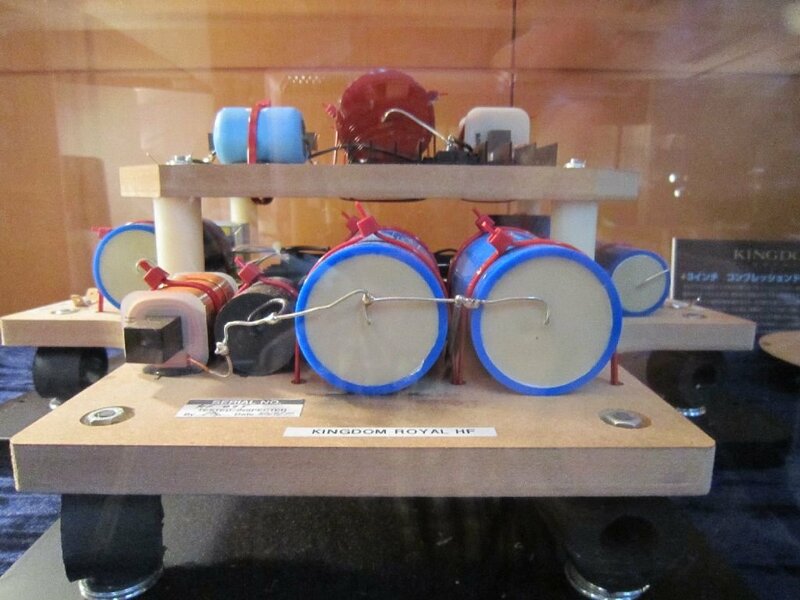 I later replaced the suspension with mylar one. 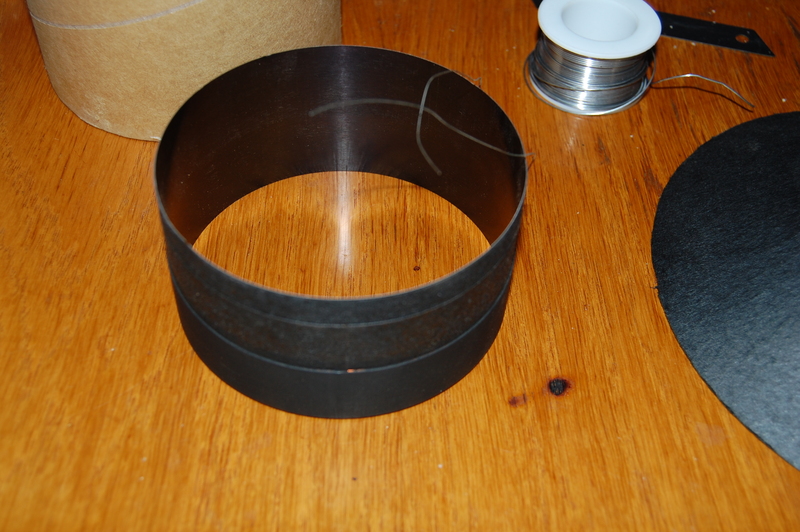 I had a sheet of mylar and cut out a ring to form the suspension. 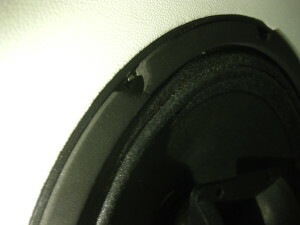 This improved on the transition region between the woofer and the CD as i will later show. 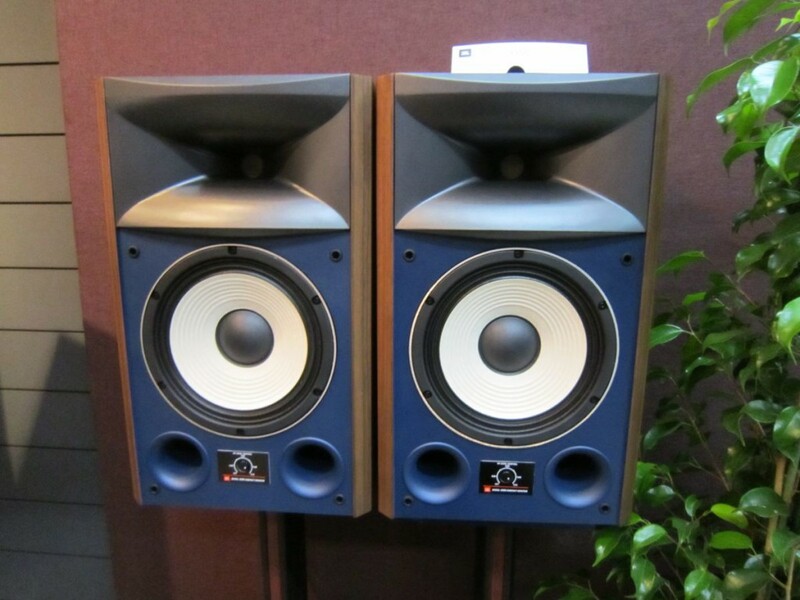 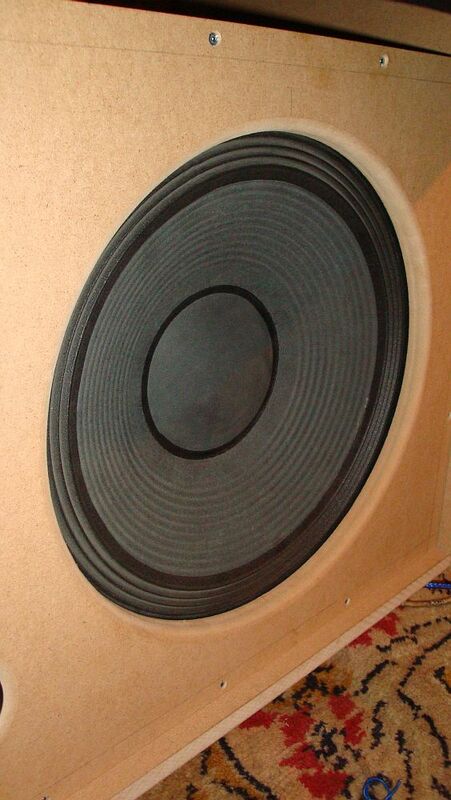 Phase plug is after the old Tannoy Monitor Gold and should provide a better low frequency response. Below you can see the model for the 15 incher and the bass reflex box. 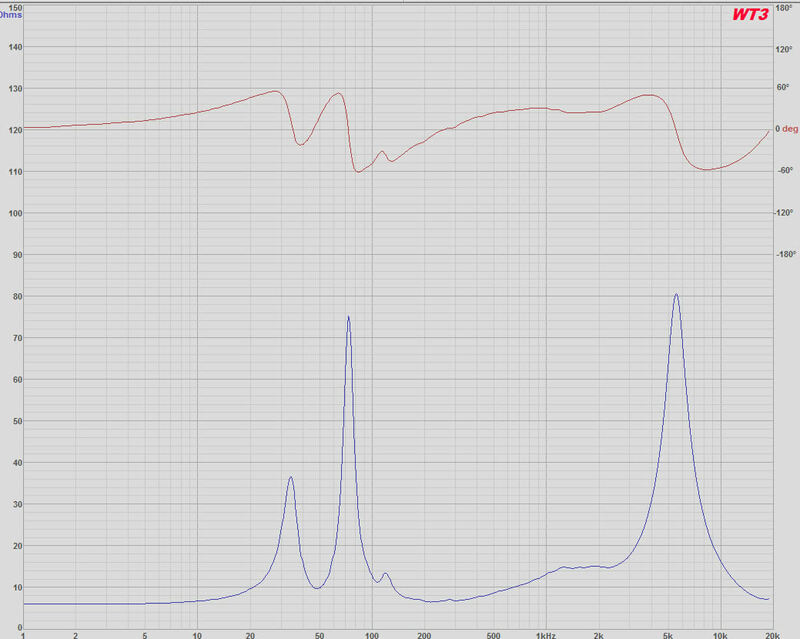 The box is tuned lower as the xover will bring the second peak down a bit. 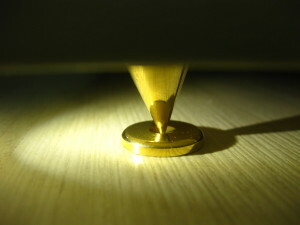 I will end here the first article and will continue soon. 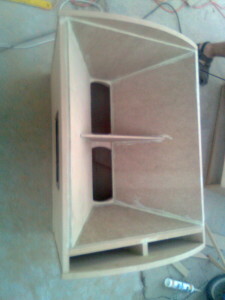 constructed with the use of a hand operated router. coordinate of the center will always be 0.
the throat and the driver to provide a better loading of the diaphragm. 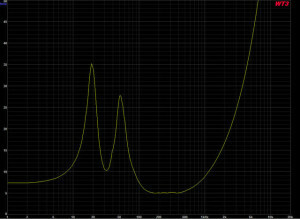 then our equation will be x^2+(y-b)^2=R^2. 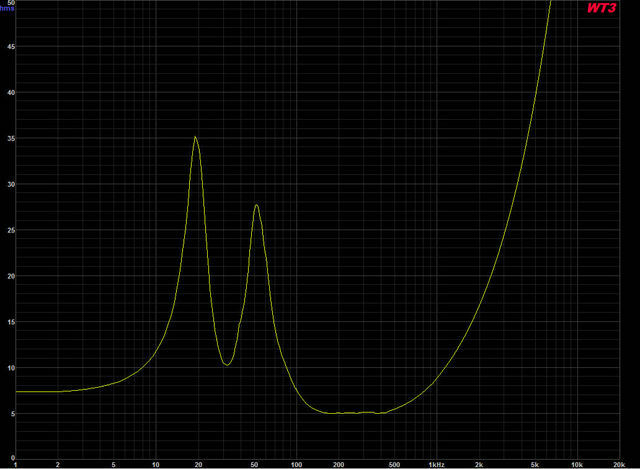 value of y and plot the (x,y) point. 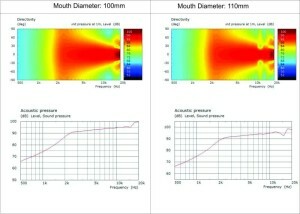 throat and either the radius of the circle or the radius of the mouth. 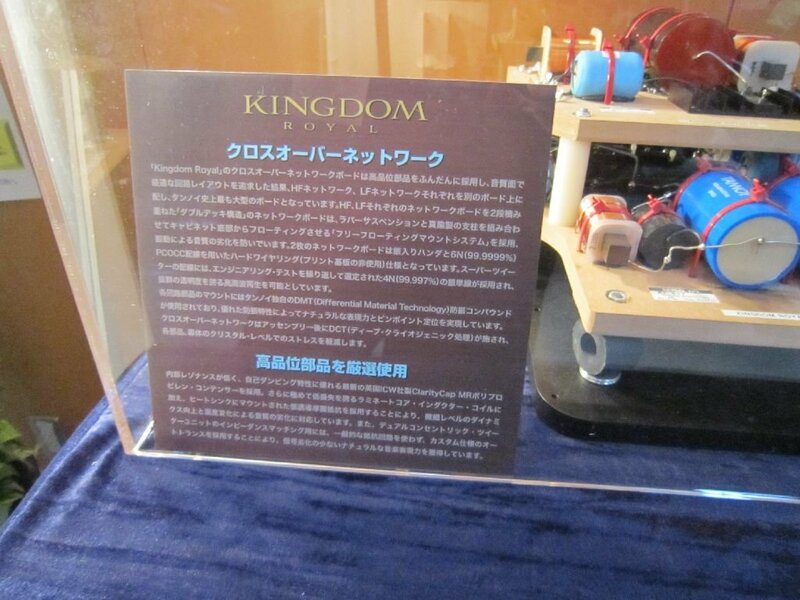 can never exceed the value of Rc. 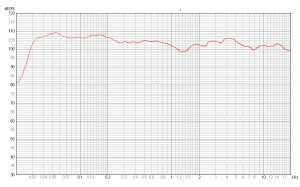 parameters for AxiDriver based on the last equation. 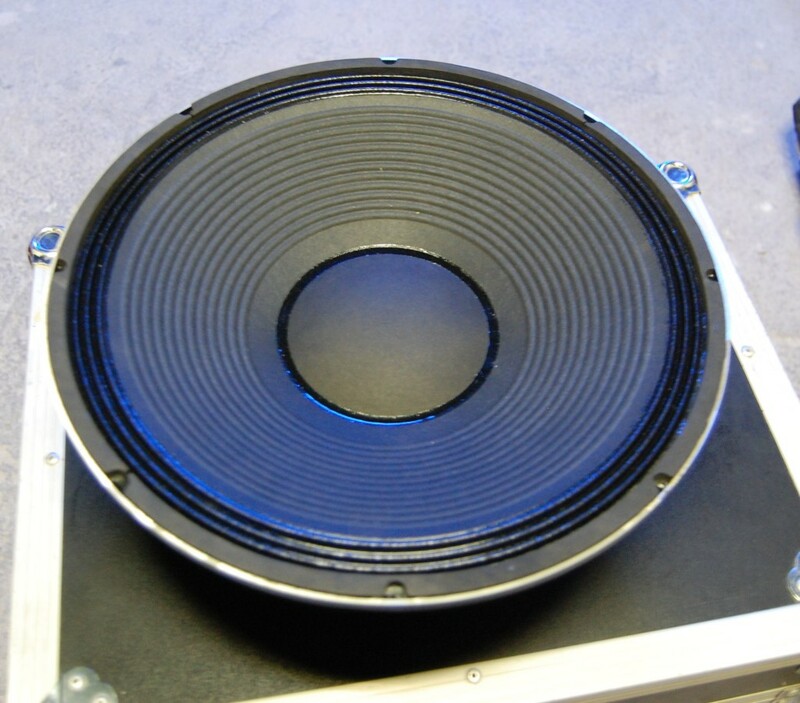 suitable for midrange and high frequency usage. 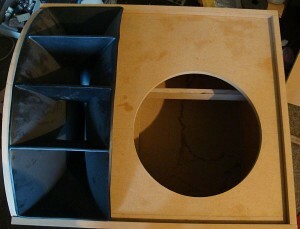 different sizes of Rm for the quadrant horn. 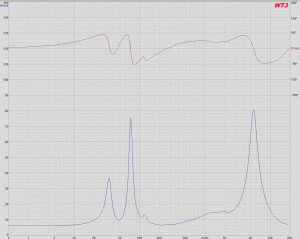 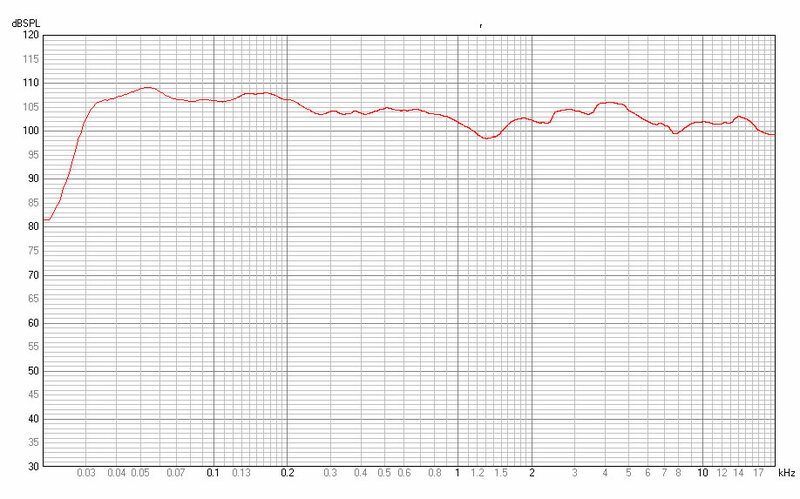 As can be seen from BEM simulations, the profile maintains a nice 60 degree directivity all the way to 20kHz. 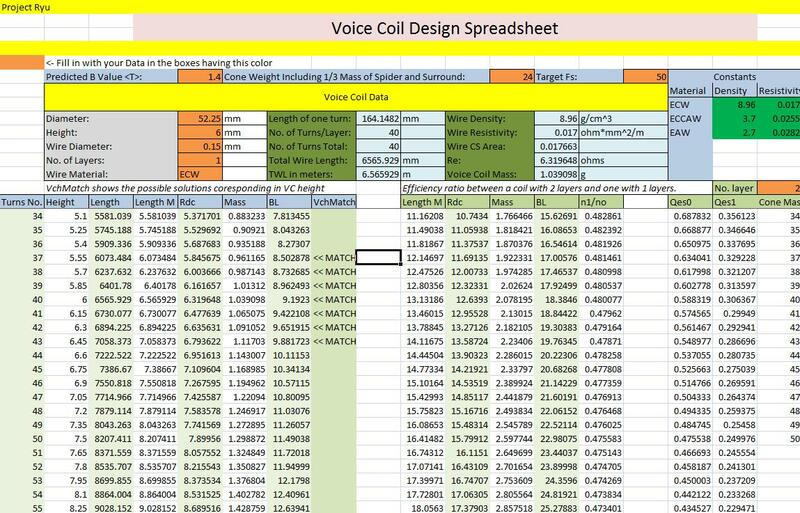 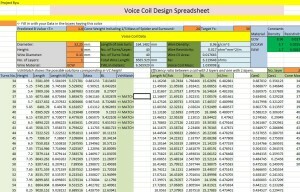 Attached you can find the spreadsheet to run your own simulations. 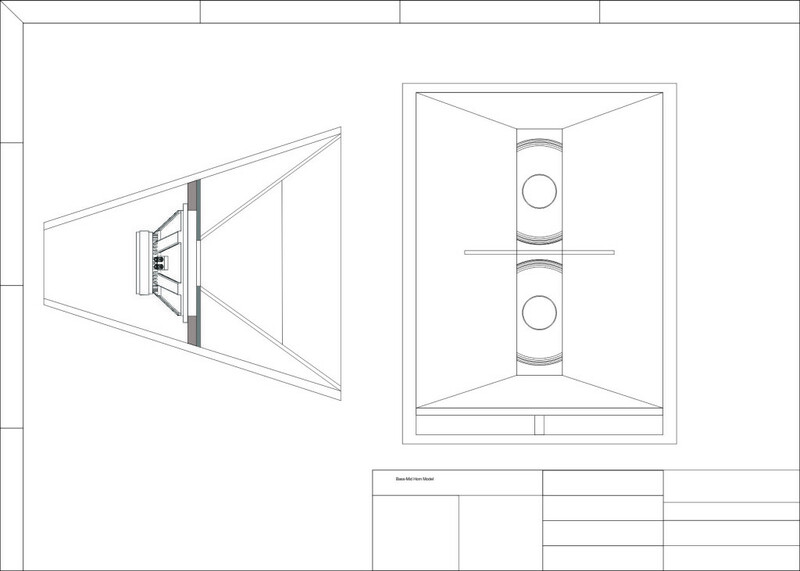 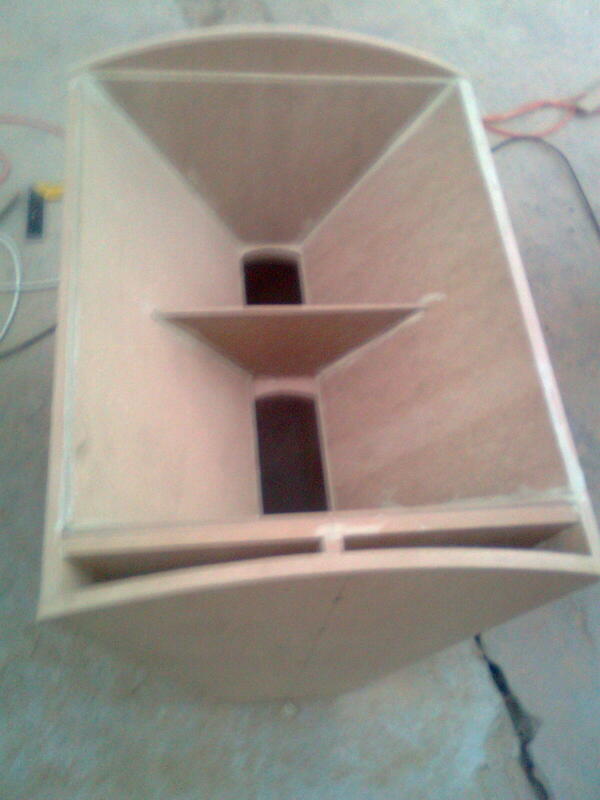 This is an old TQWT Loudspeaker project on which i still have some data saved and i thought i should present it. 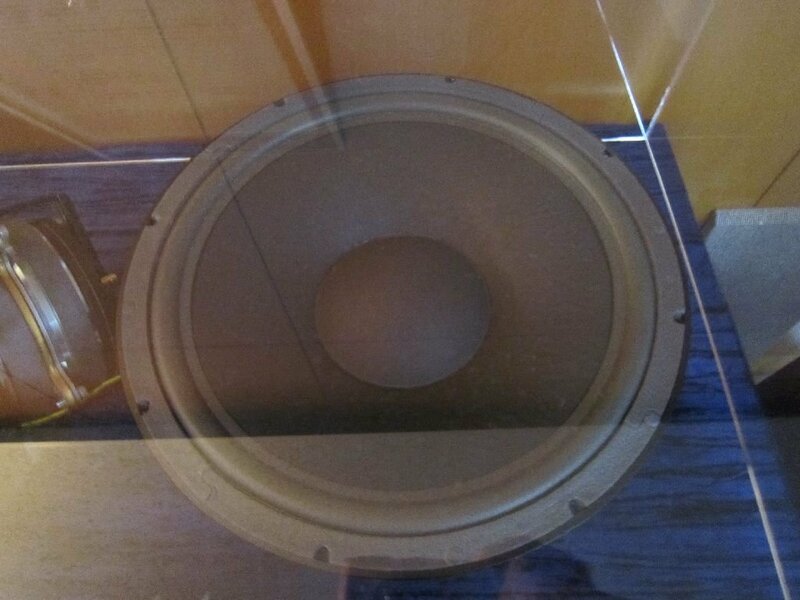 One of the other drivers from HiPower Audio Co. was 6366 a very nice 10″ mid-bass with quite a smooth frequency response and low distortion. 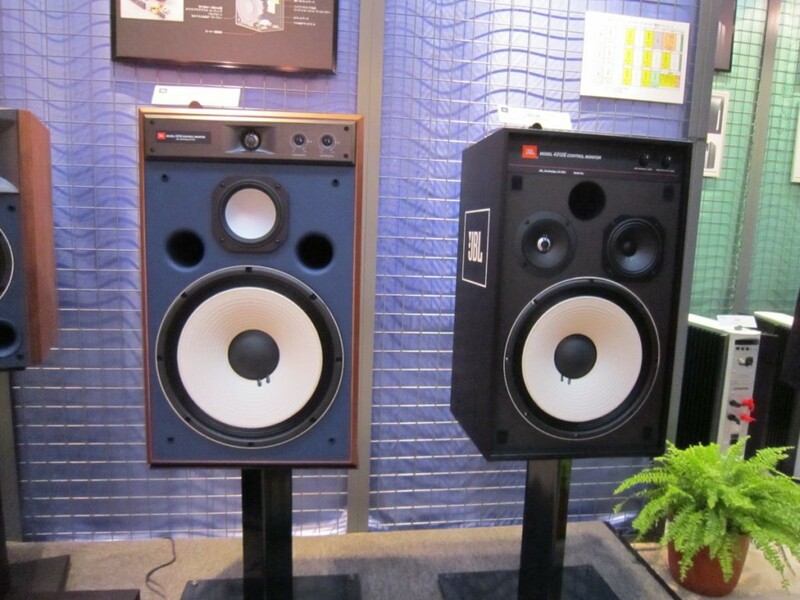 With a high resonance frequency though they were shy on bass in a bass reflex enclosure though so for home hi-fi systems other alignments needed to be considered. 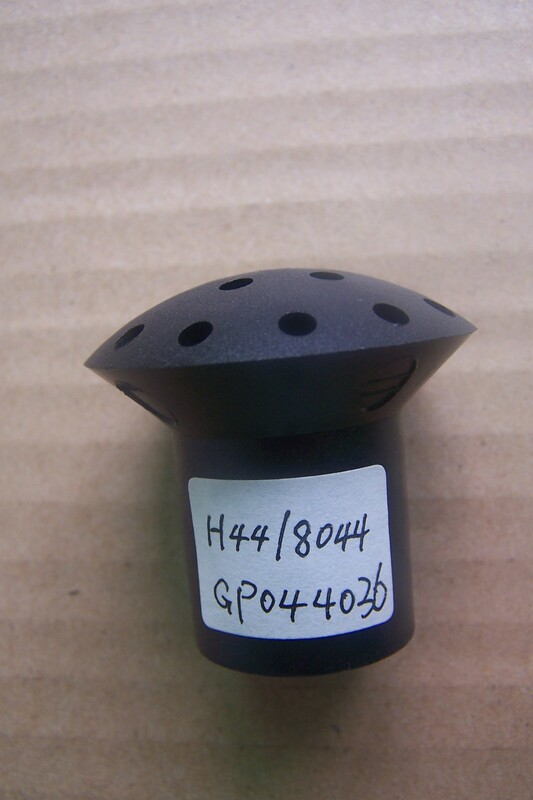 A FLH horn was considered due to the strong motor and the stiff suspension system but with a Mms of 34.9g is not really light enough for this kind of application. 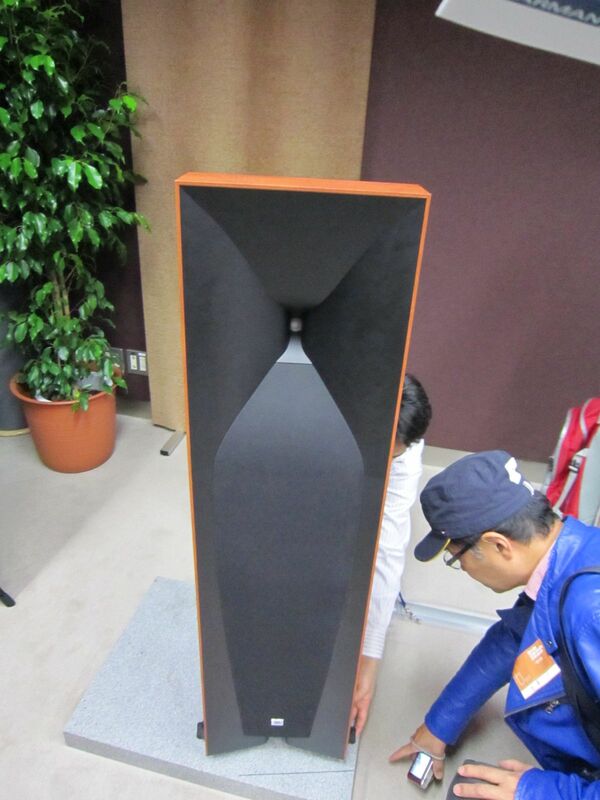 So the next thing that came to mind was a TQWT Loudspeaker. 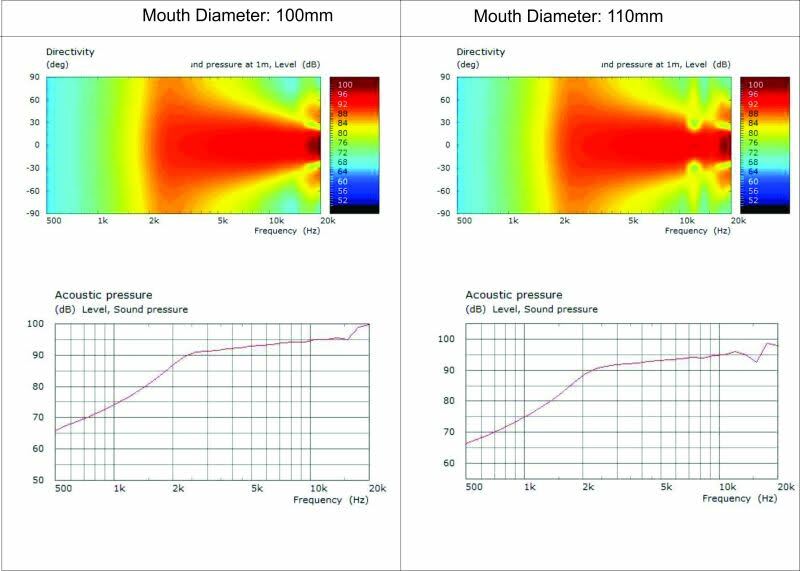 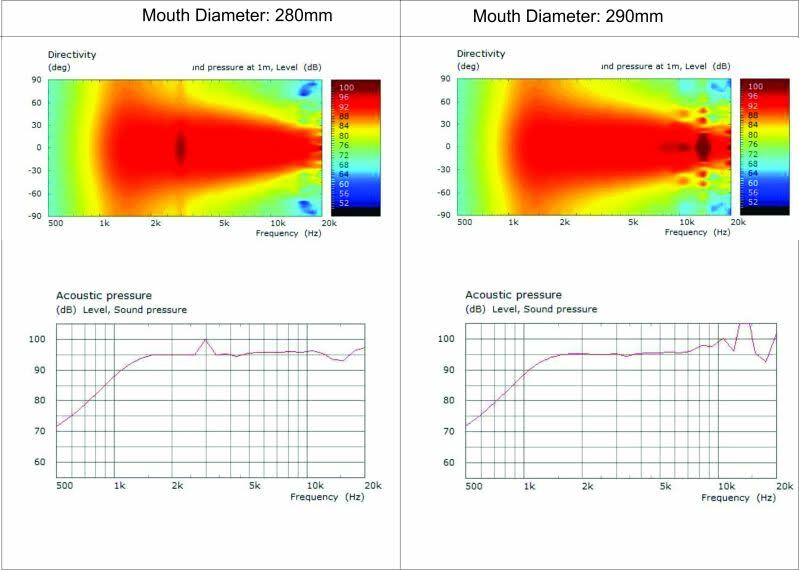 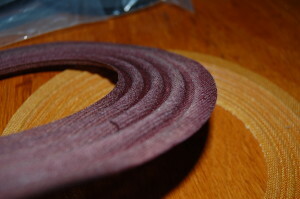 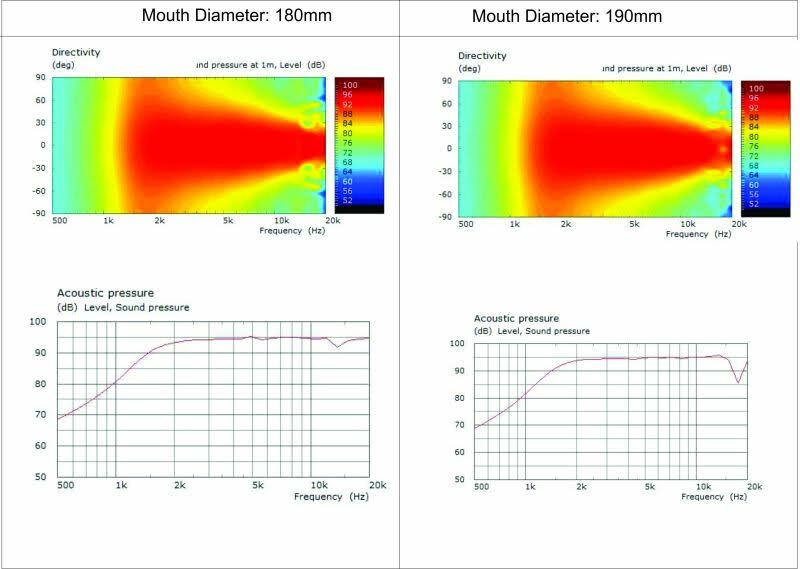 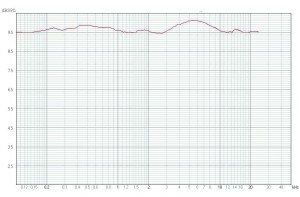 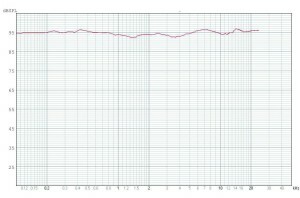 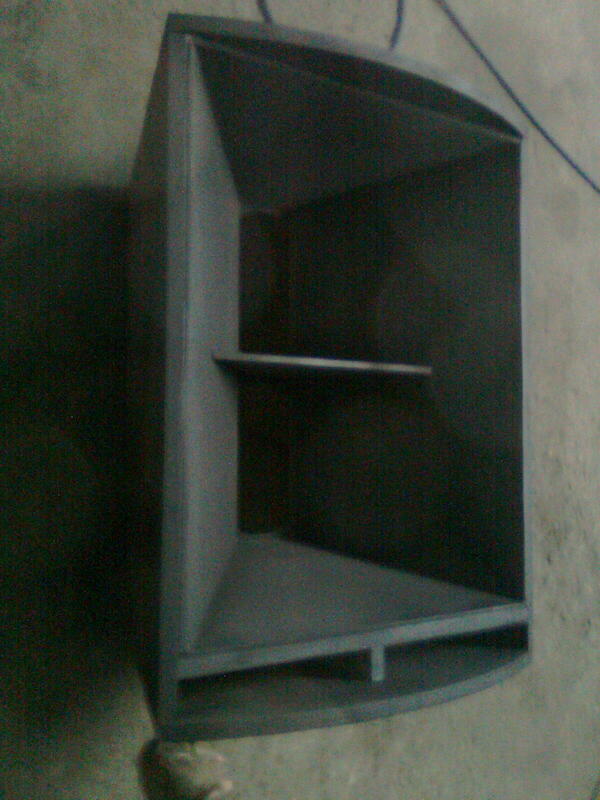 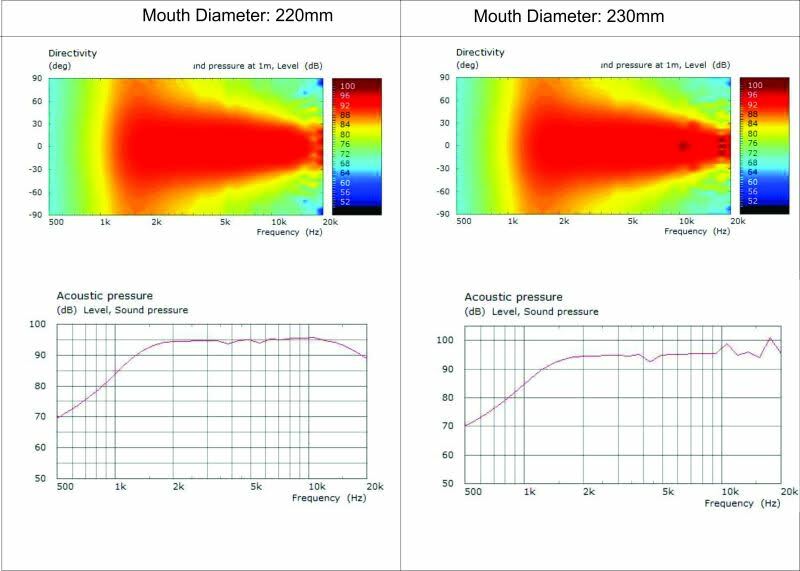 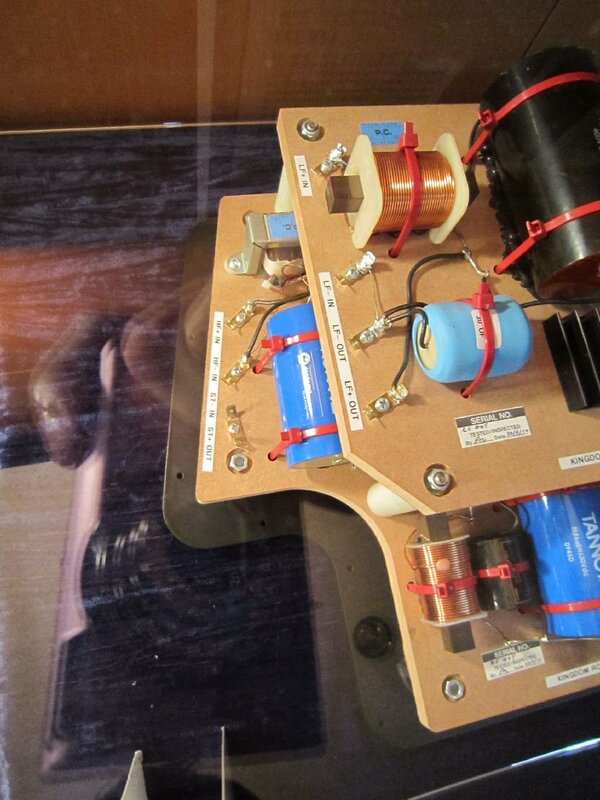 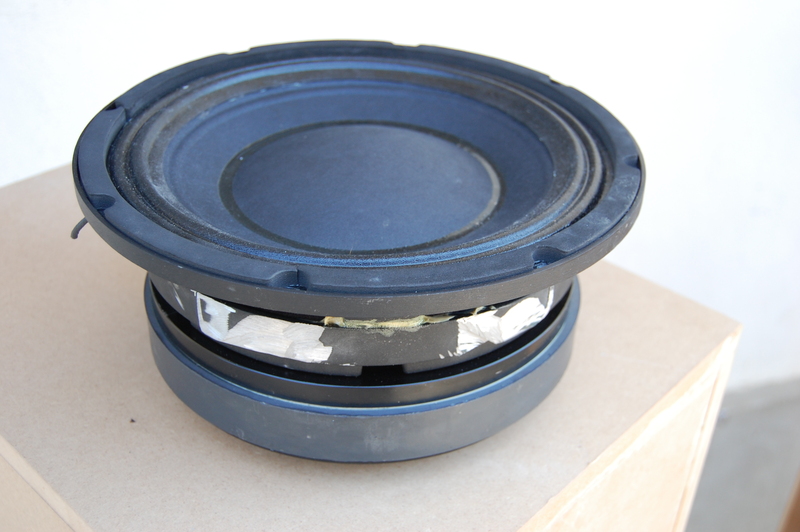 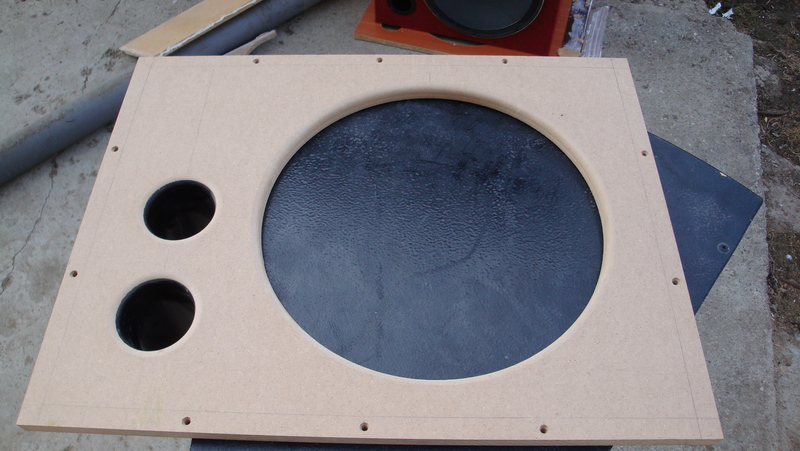 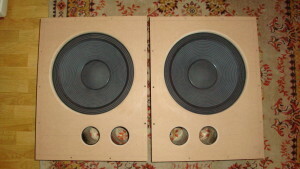 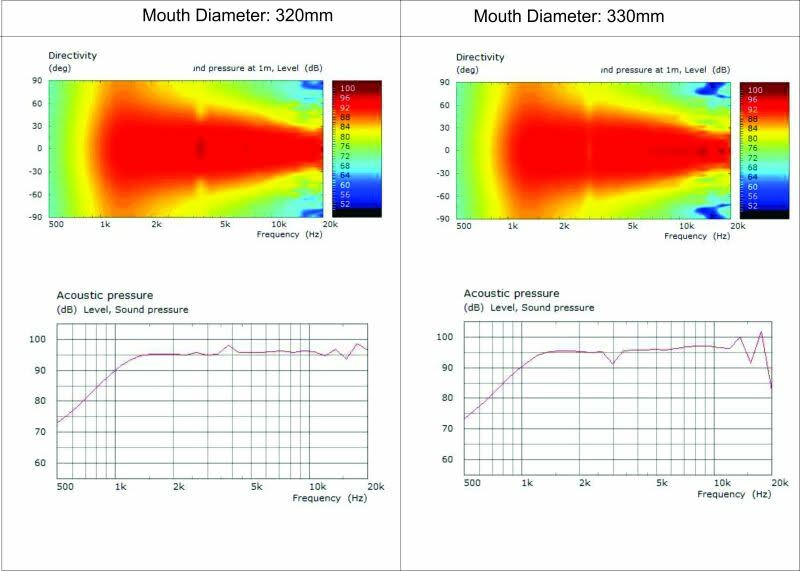 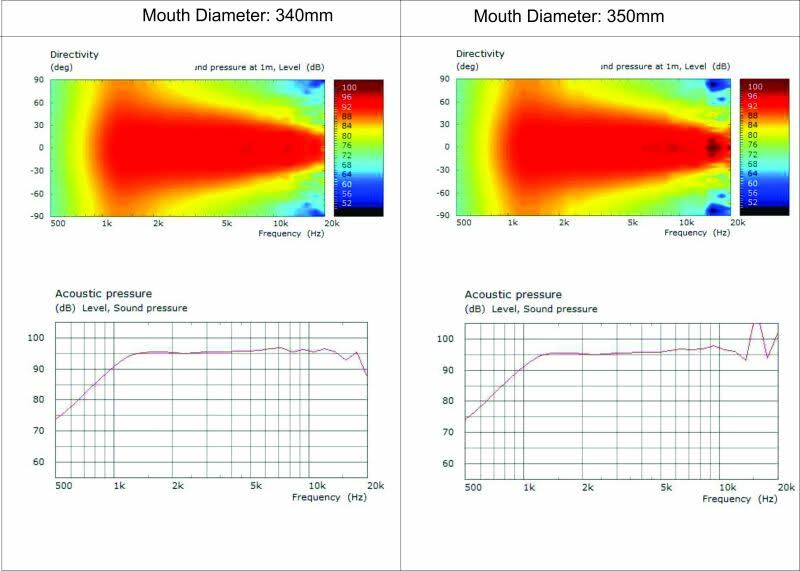 I had built other TQWT/VTP loudspeakers and i usually have the mouth area between 0.5 and 1.5 of SD of the driver. 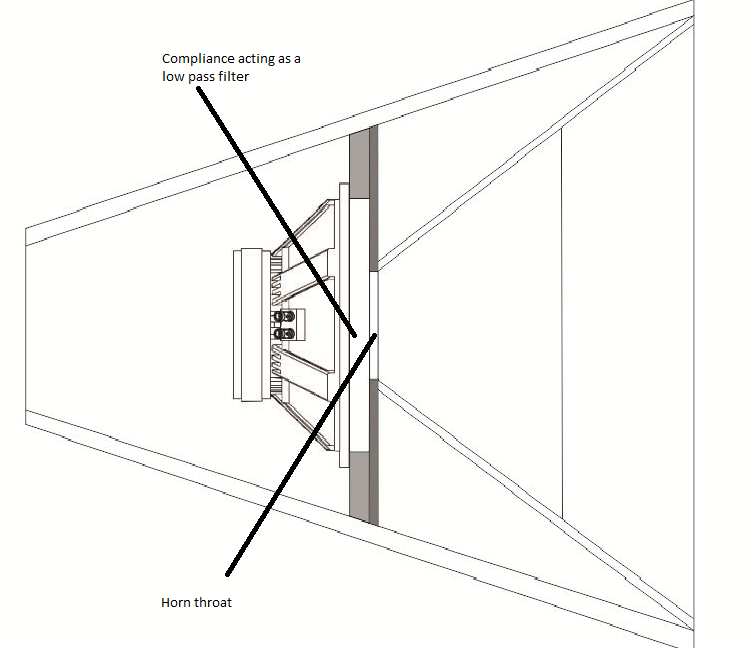 This however requires a strong motor on the driver to control it. 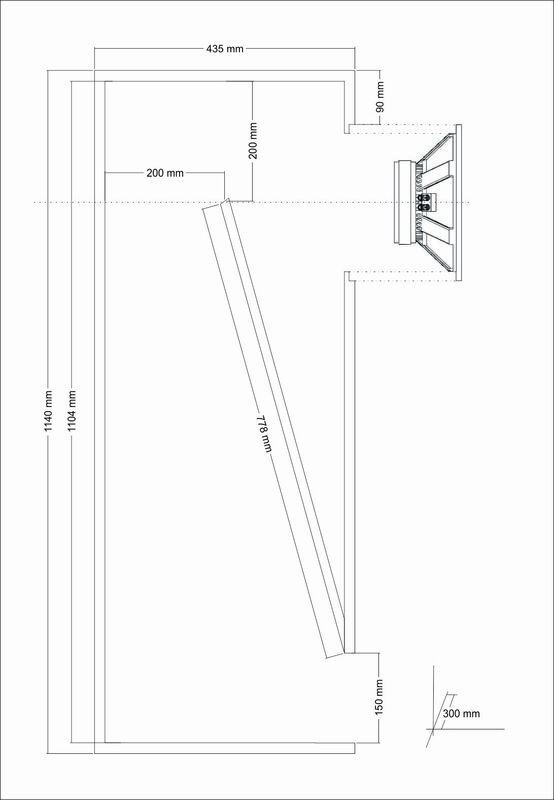 Below you can find the drawings of the enclosure as well as acoustic fill material placement along the line. 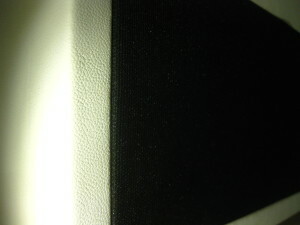 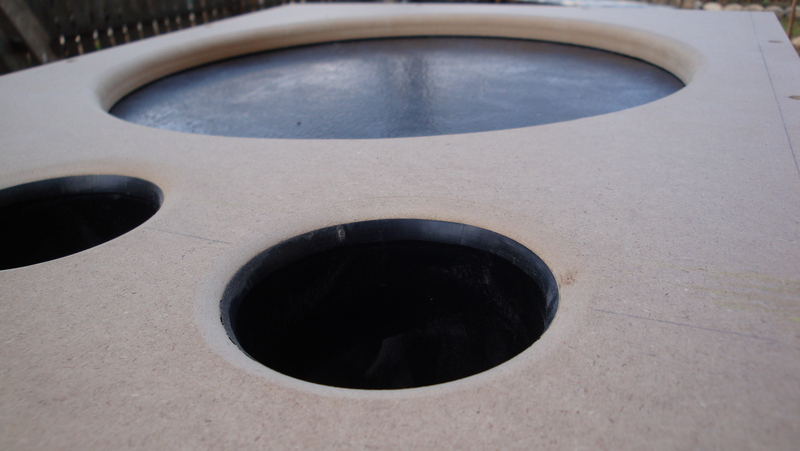 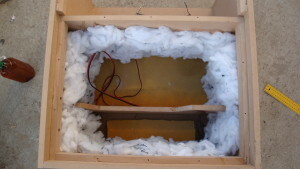 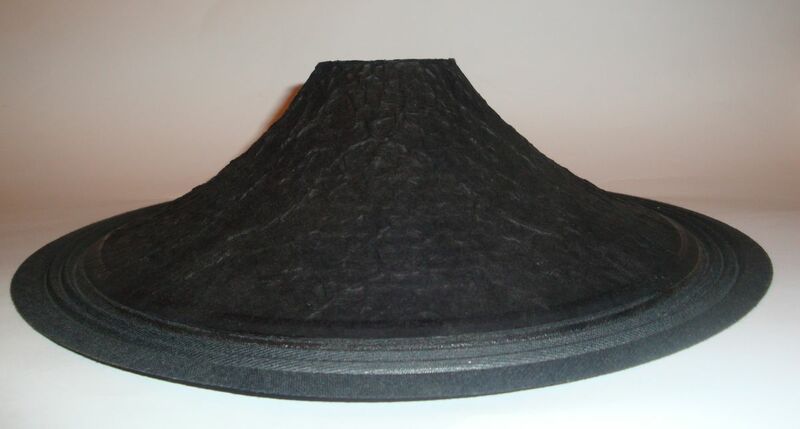 The acoustic fill material inside the enclosure was chosen to be mineral wool. It has a very good price/quality ratio. 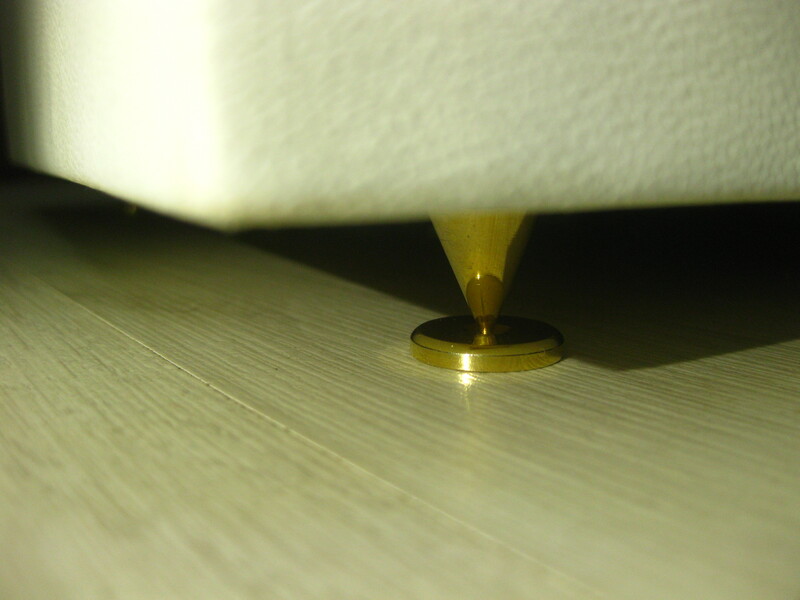 Several tests were performed before choosing the best positioning. Thinking of the high frequency unit, the mid-woofer had a vent of 30mm diameter and i realized i that could be the acoustic path for a compression driver mounted on the back of the woofer. 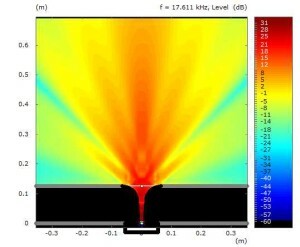 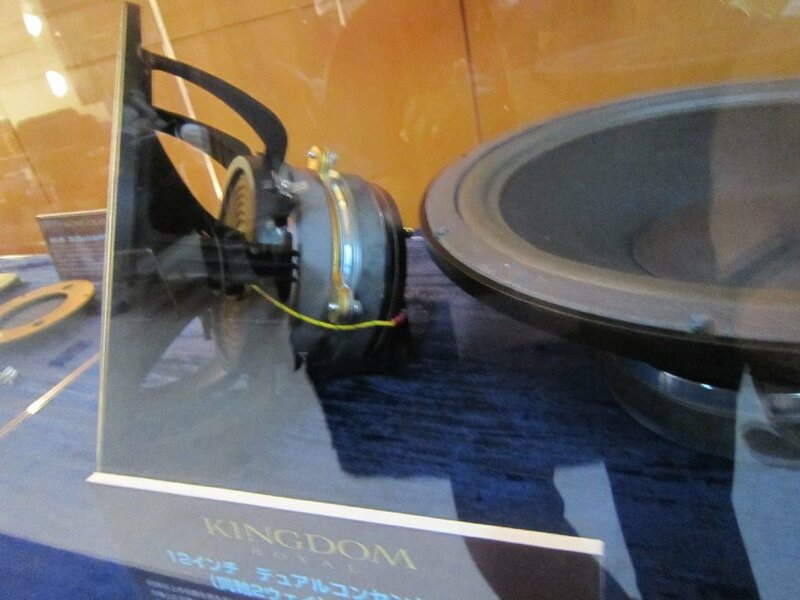 This way i could create a coaxial driver with its coherence advantages. I create a simple aluminum tube to transition smootly from 25mm to 30mm. 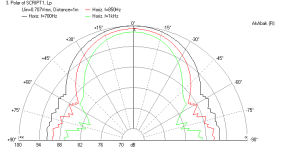 Once it exit the mid-bass pole piece it needed a small horn, otherwise it would beam very much and there are many changes to get high amounts of doppler distortion. I have found a pair of small Bi-radial like horns that seems perfect for the job. 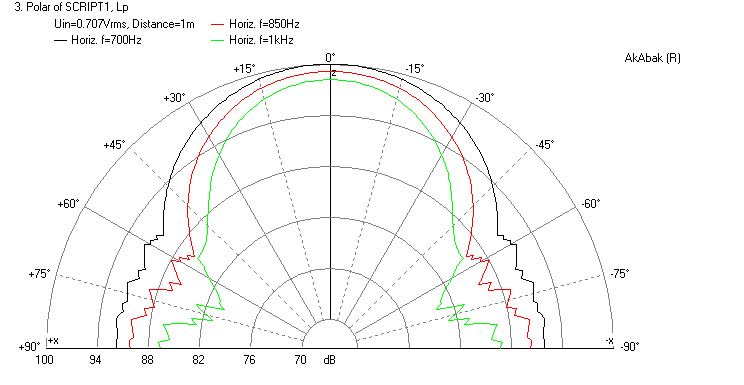 Running a test in AxiDriver demo shows a pretty good directivity control up until 12-13Khz, after that it start lobbing. 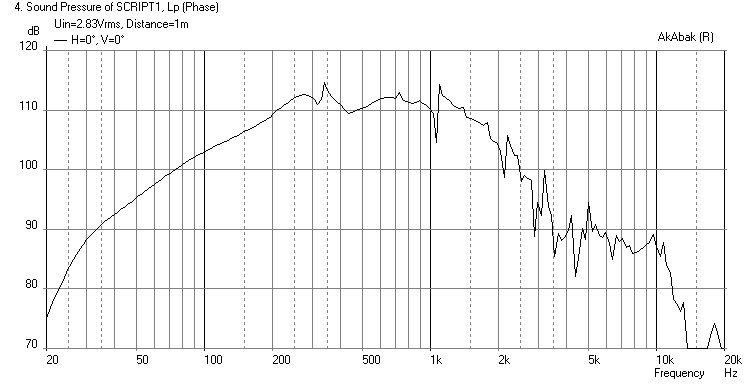 Crossover starter from my old first order at around 20kHz for the compression driver. This allows the elimination of an L-pad with i don’t like to use very much. 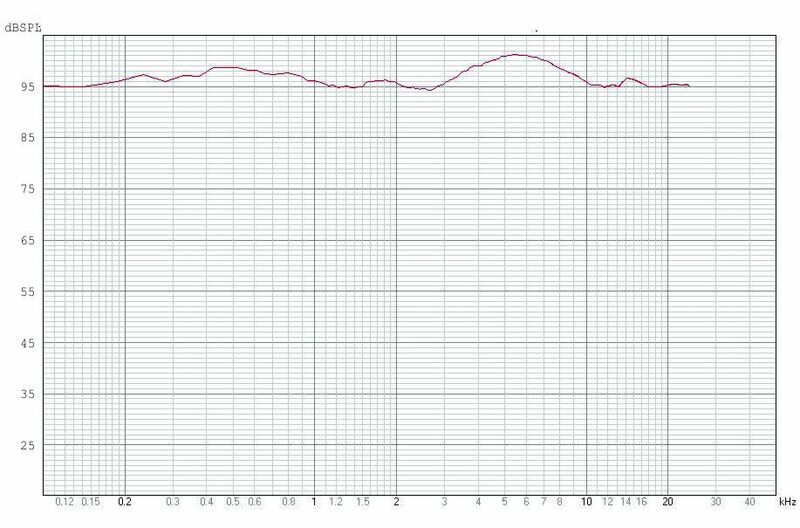 Allowing a slow slope 6db/octave evens out the rise in the lower frequency that horns give to compression drivers so not only you will match sensitivity to that of the woofer without L-pad but you also reach a linear frequency response. 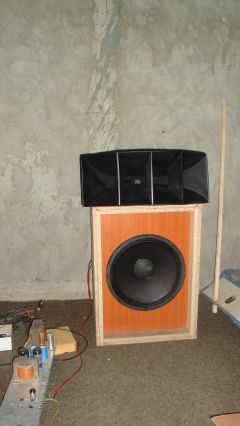 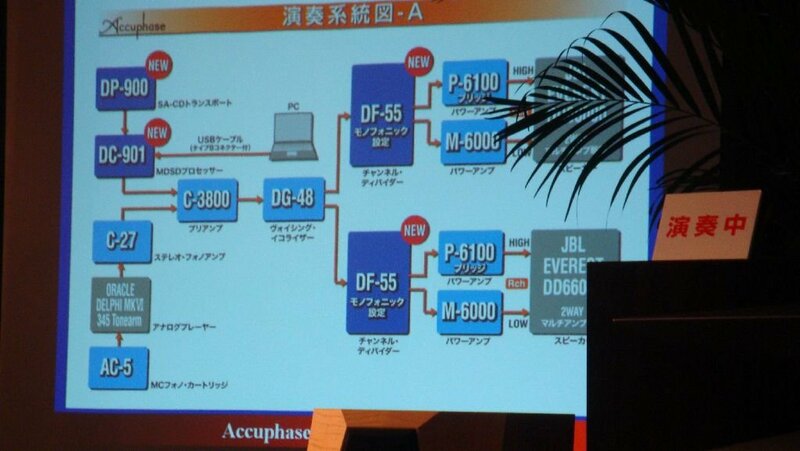 First crossover version and frequency response. 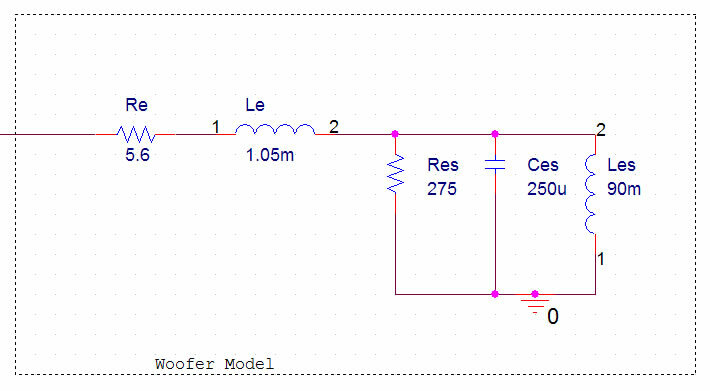 First test was done on my RH84 amplifier. 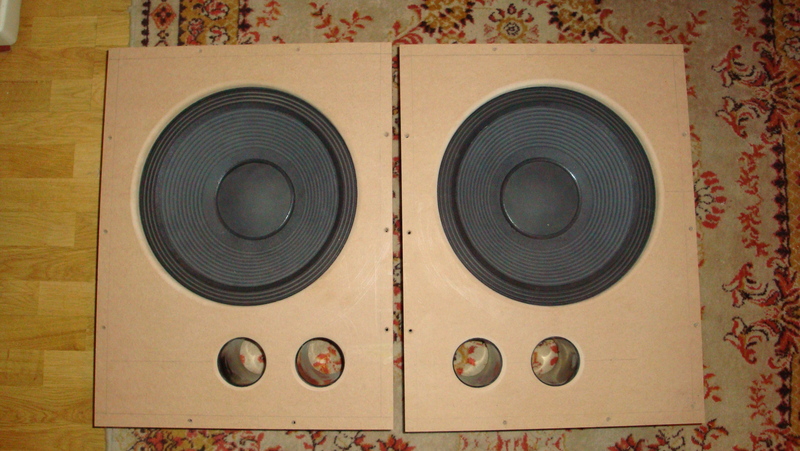 High resolution, good tonal balance and the best stereo image i ever got. The coaxial experiment resulted in a nice coherent source. 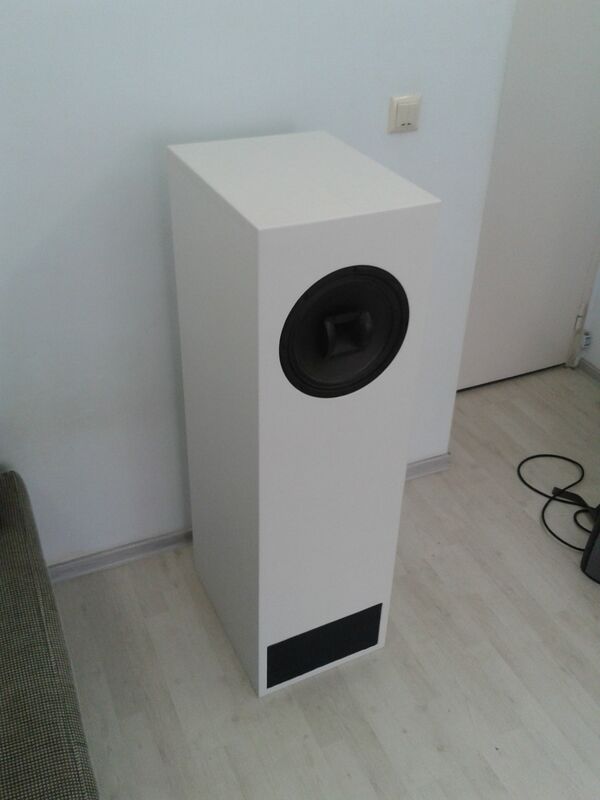 All sounds come from the same center, the speakers just disappear completly. 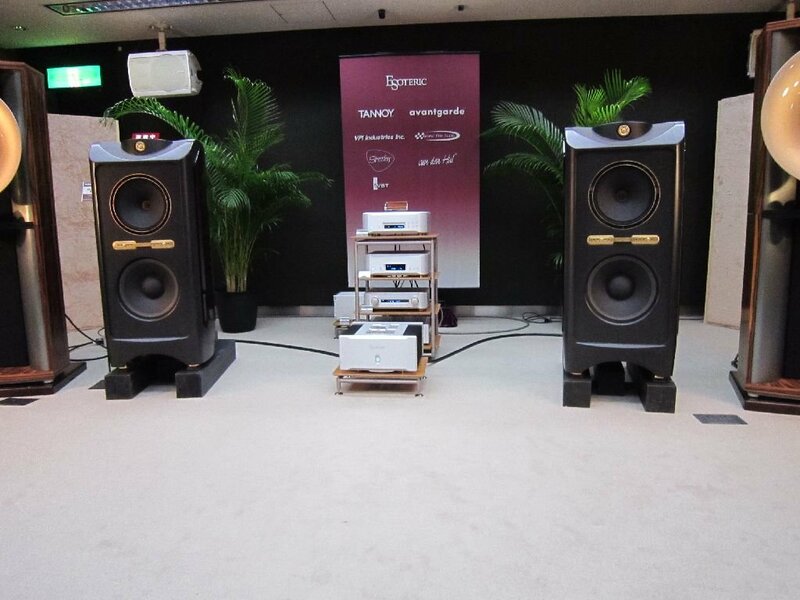 With the russian 6P3S-E PP amp the fullness and power started to show. 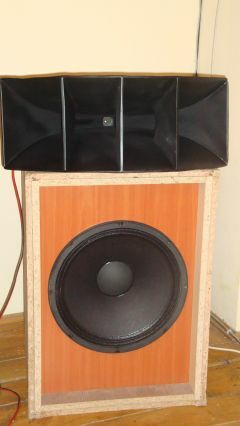 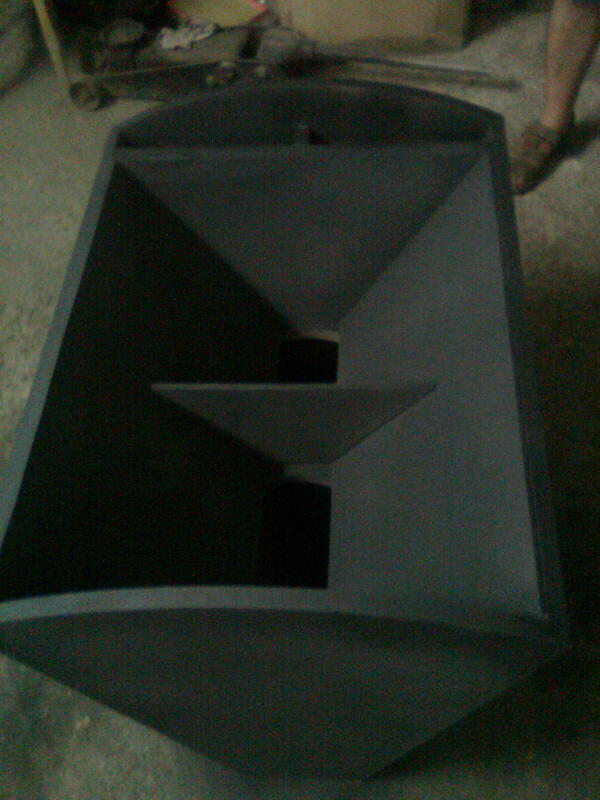 Its a very dynamic speaker and can deliver really high output. 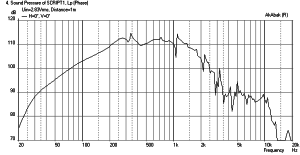 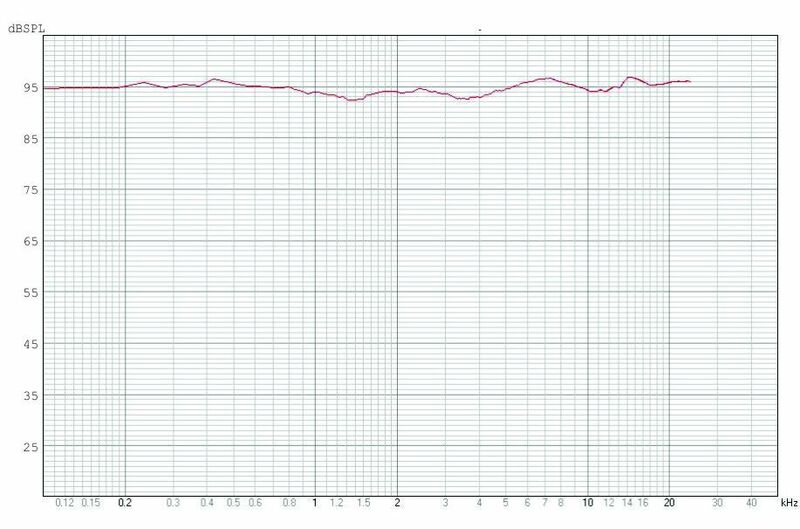 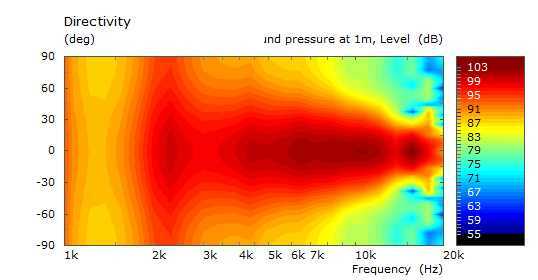 It is amazing how much bass you can get from a woofer with a resonance frequency of 63Hz if used in a TQWT loudspeaker and properly loaded. 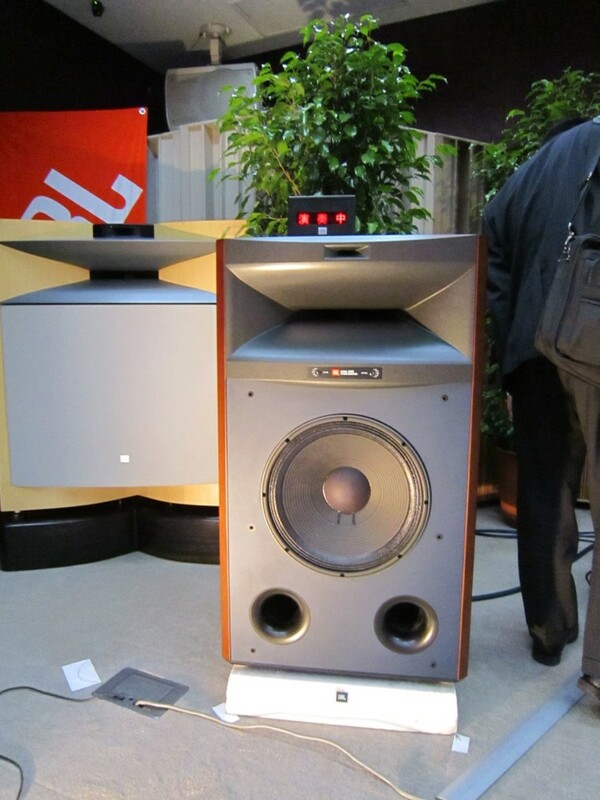 Bass reflex port seems to be optimized for low distortion and compression. 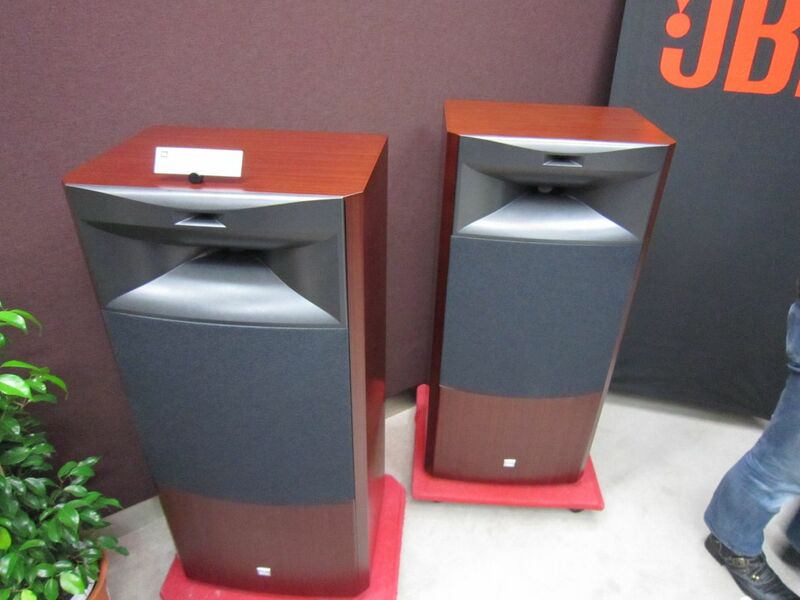 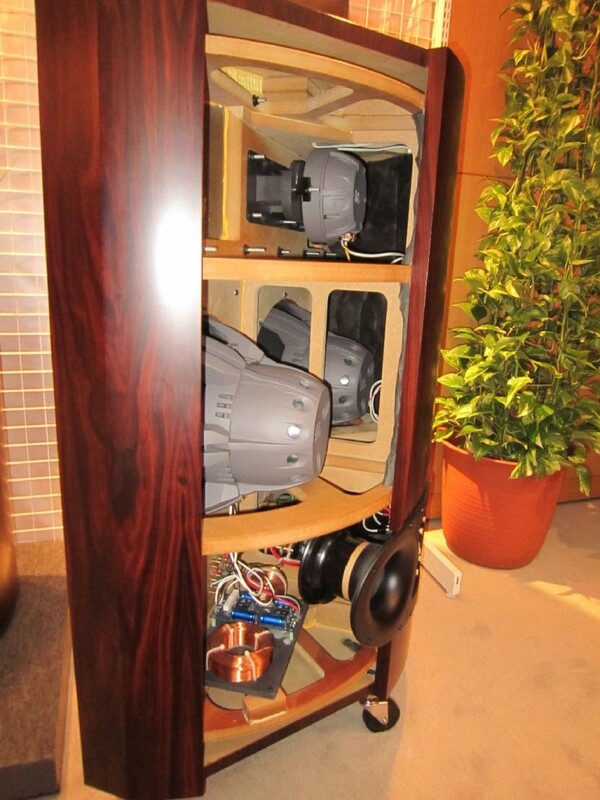 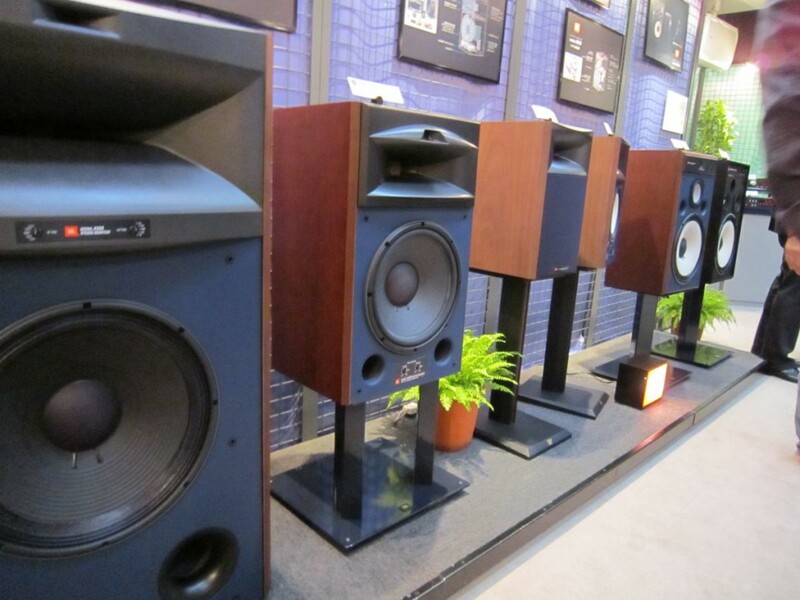 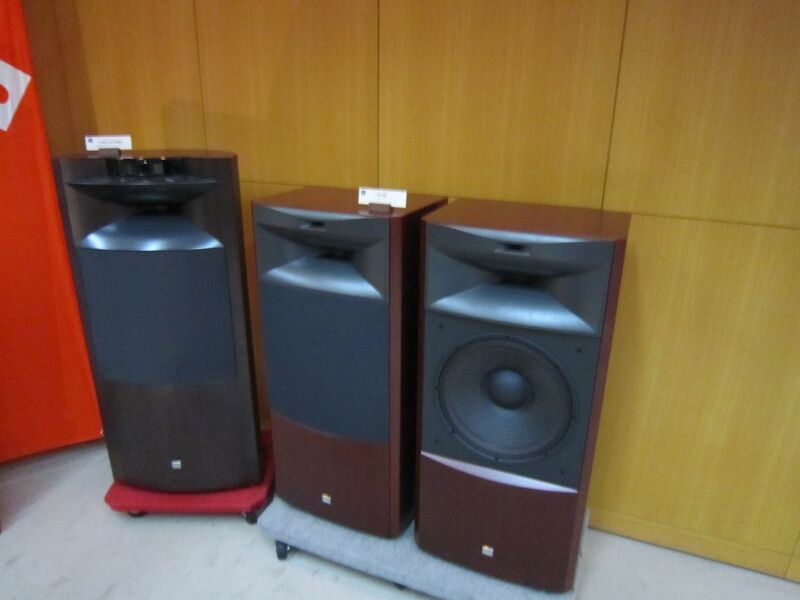 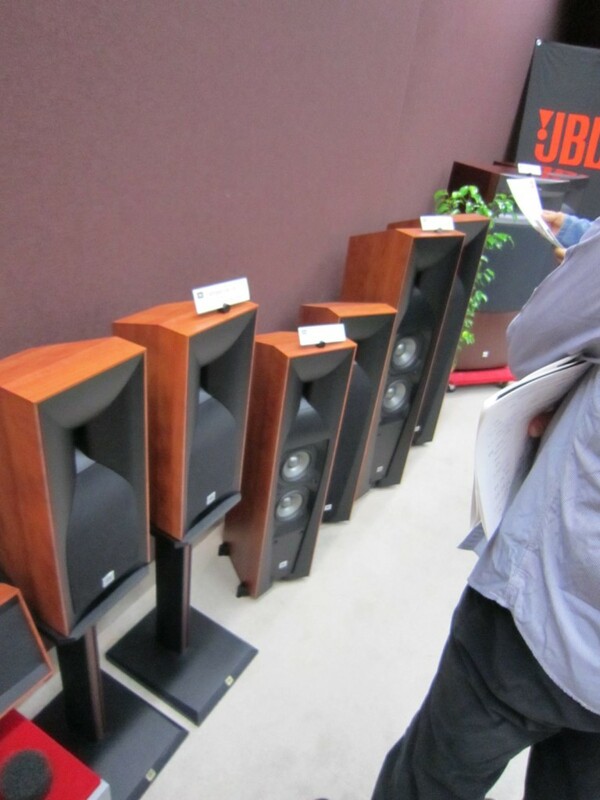 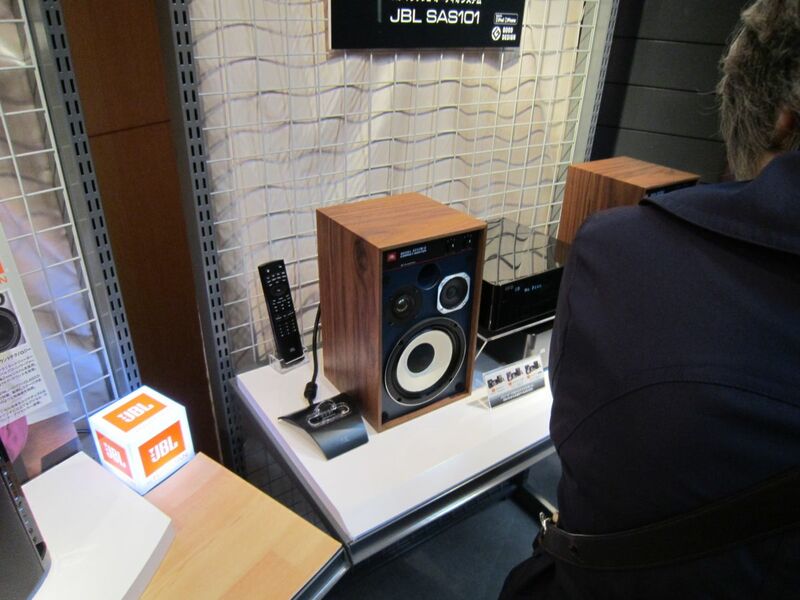 JBL EVEREST is a high fidelity loudspeaker system. 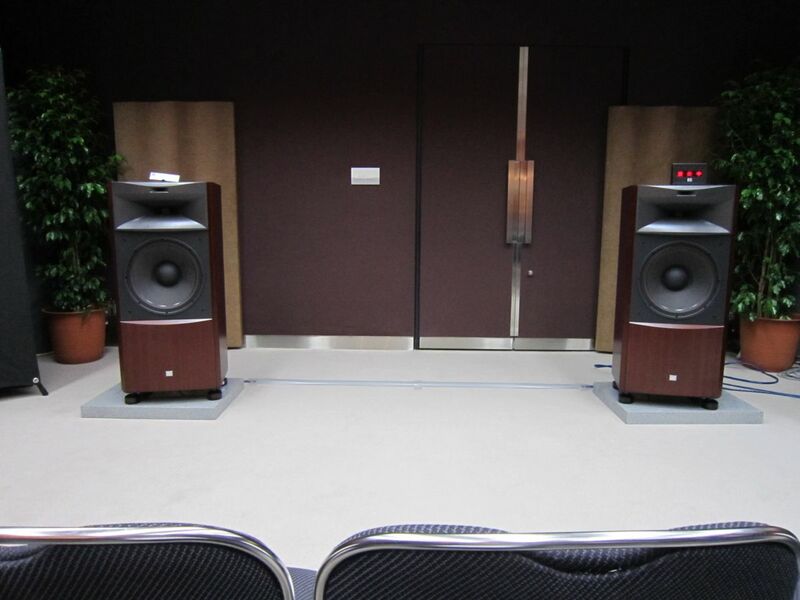 I enjoyed exceptional performance with Accuphase amp and Mark Levinson amp. 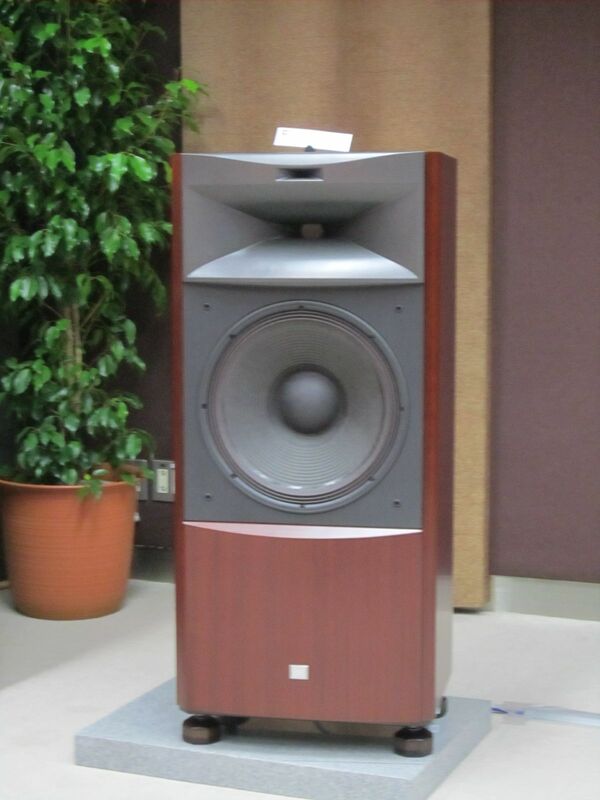 I liked it more with ACCUPHASE and to me it sounded better than AVALON TIME on the same setup.Full sound with great impact and high resolution at the same time.